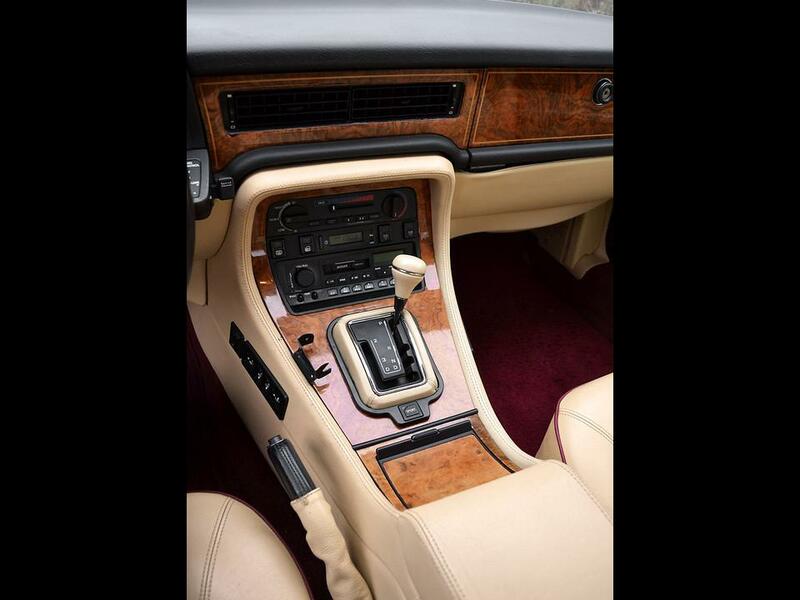 In 1990 the US market received the Jaguar Vanden Plas Majestic. This was a rare SWB saloon built at a restricted pace of only 527 vehicles. 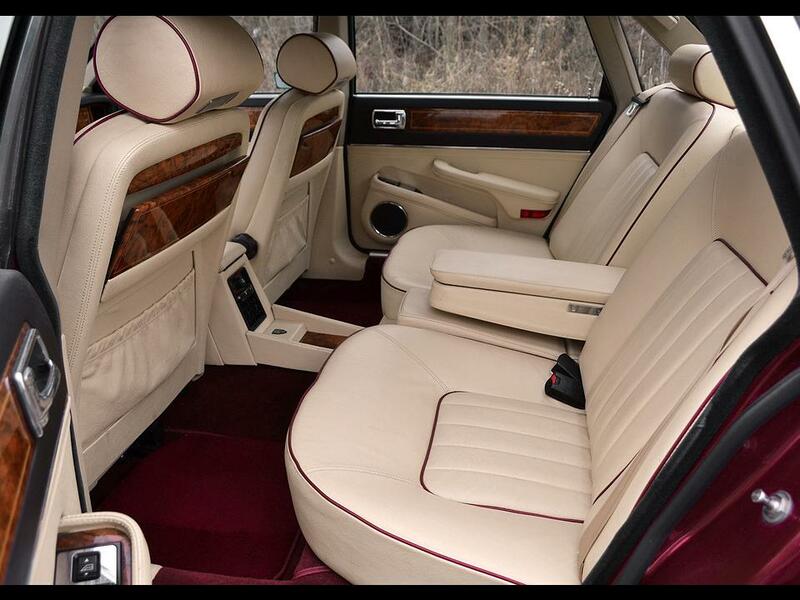 These limited edition saloons featured an uncompromising standard of luxury. 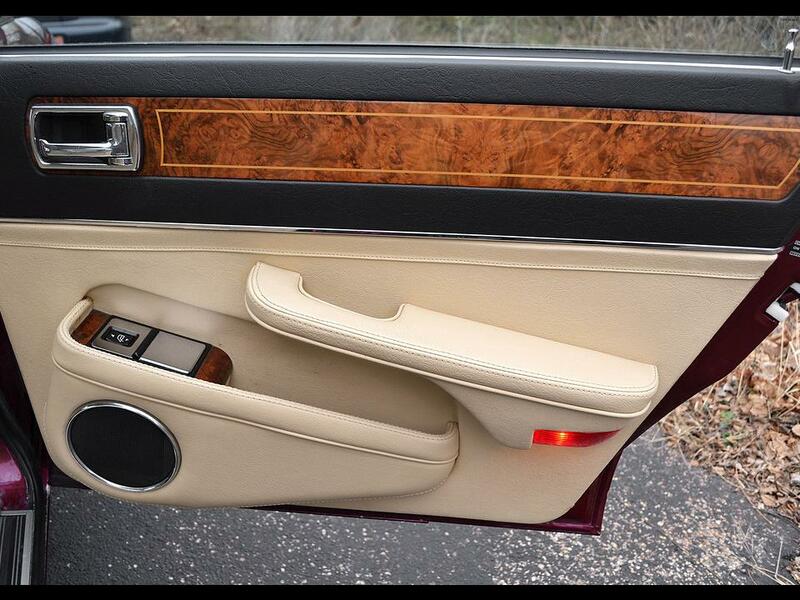 A Jaguar has always been an elegant grand tourer. 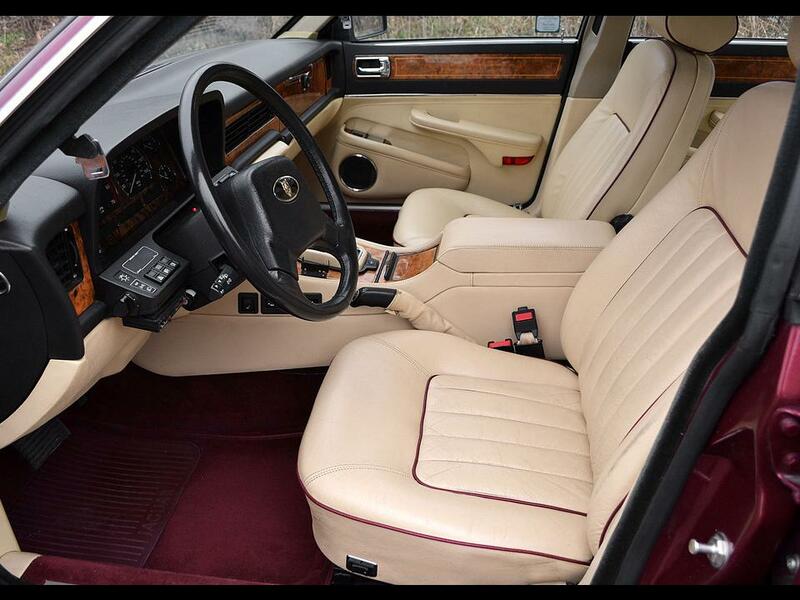 The Vanden Plas was the grandest of the grand tourers but the Majestic was the epitome. 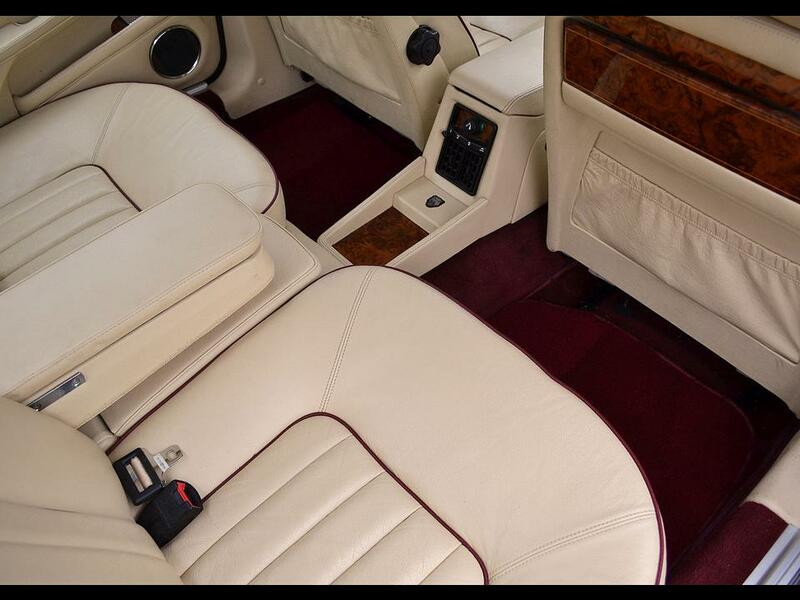 It was equipped with all of the creature comforts and was the most opulent way to travel Jaguar. 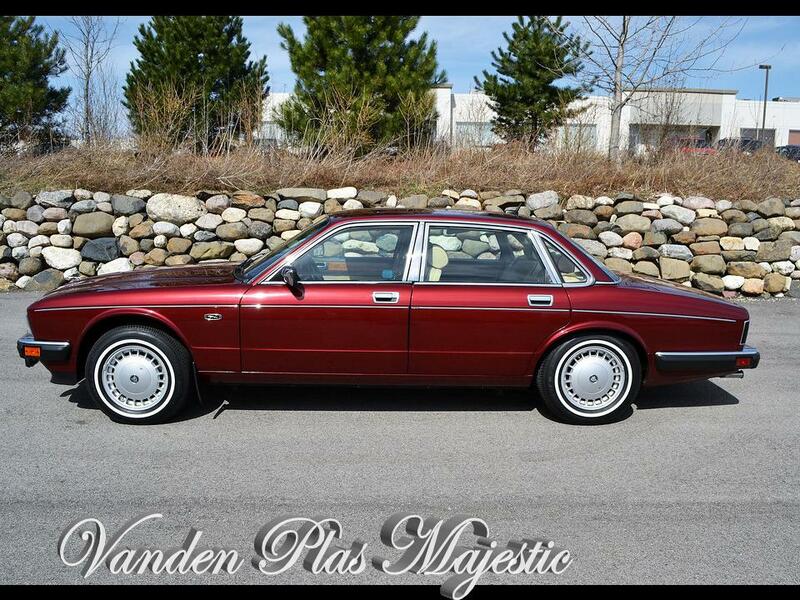 The Vanden Plas Majestic retailed for $53,000 new. 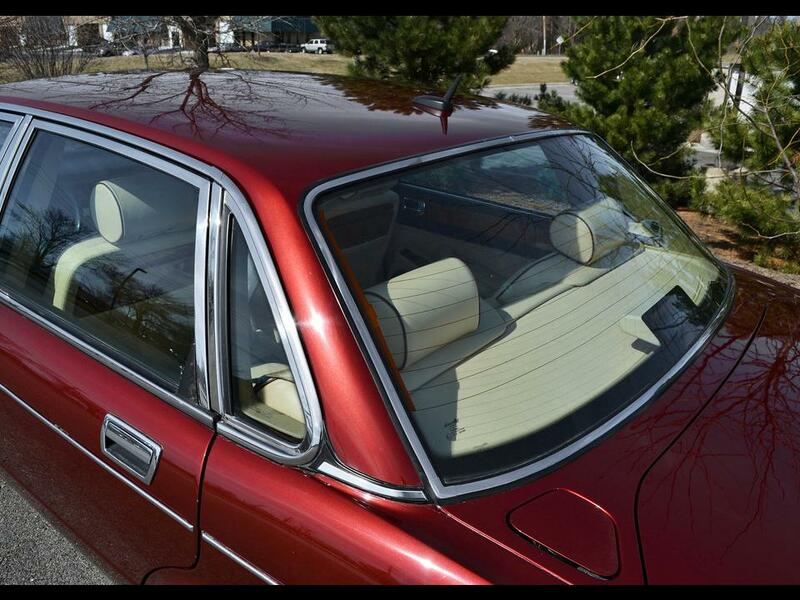 Finished in dazzling Regency Red, the Vanden Plas Majestic had signature features unique to the model. 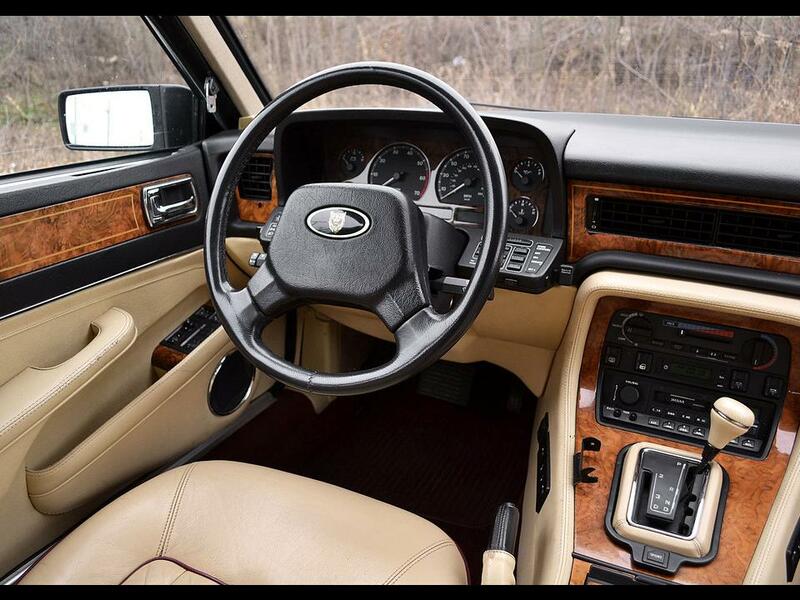 It had special wheel and interior designs to go along with its exclusive exterior. 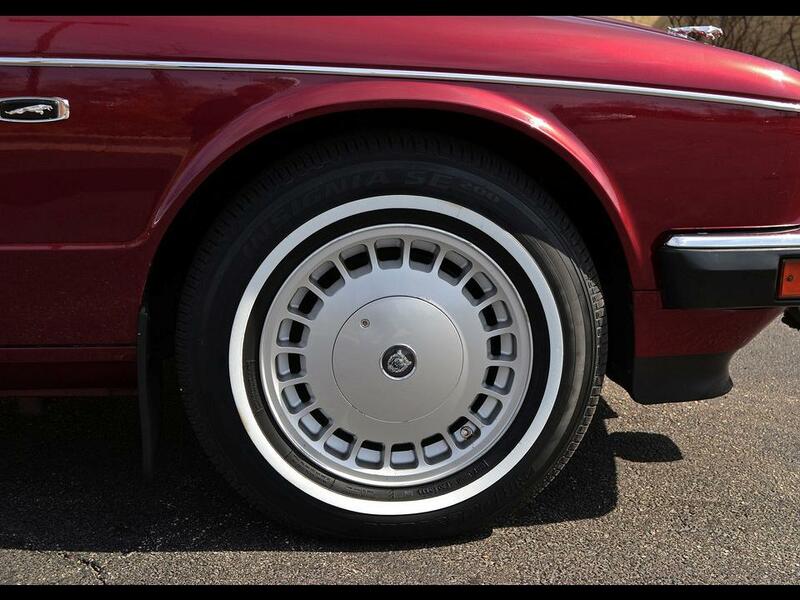 The exterior had hand polished diamond turned alloy wheels with Regency Red spokes. 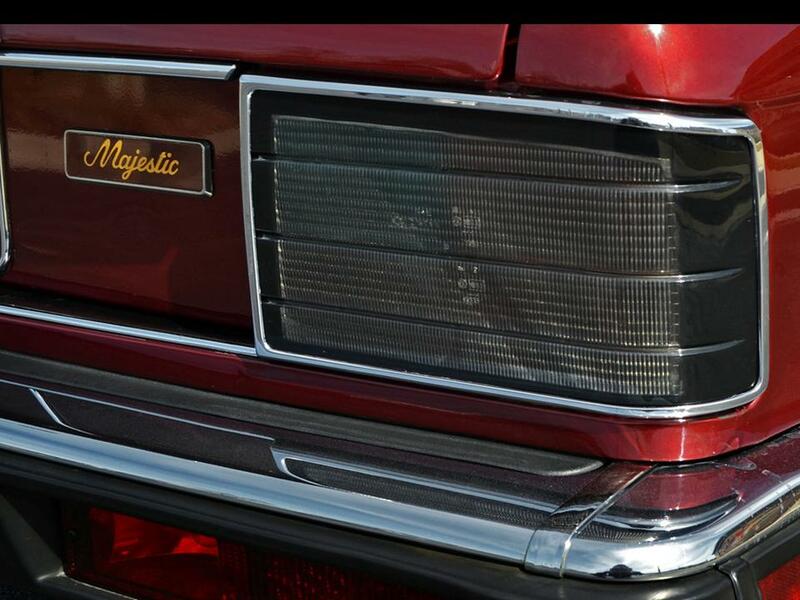 Special gold-plated badges were affixed to both sides of the rear license plate. 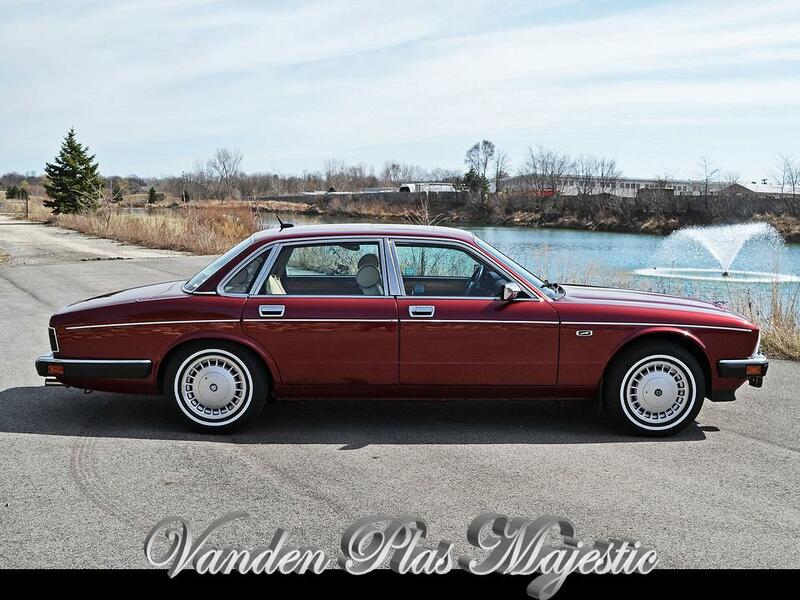 The featured Vanden Plas Majestic has whitewall tires and standard alloy wheels. 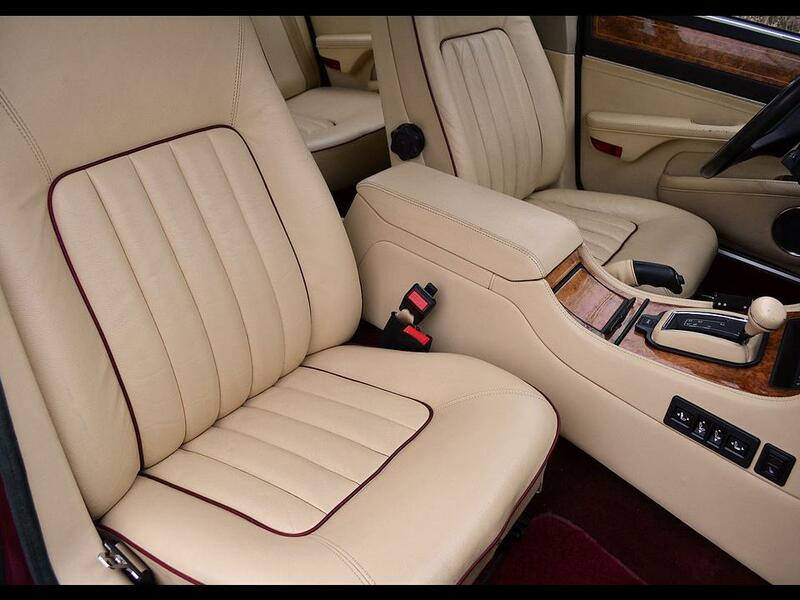 The interior was trimmed in luxurious magnolia leather with contrasting mulberry piping hand stitched by Connolly Brothers. 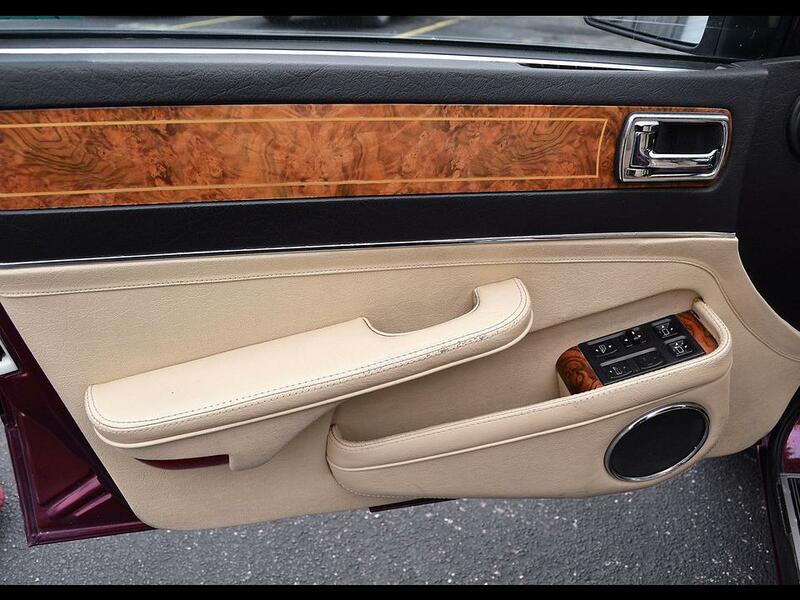 The leather not only upholstered the seating but the door panels as well. 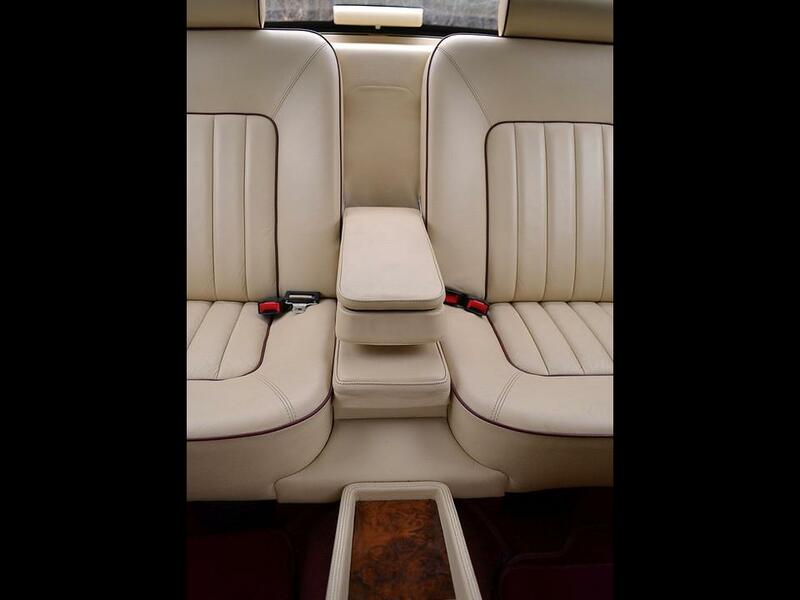 Rich hand-crafted walnut graced the fascia, door inserts, center console and rear seat fold out tables with courtesy lighting above them installed into the backs of the front seat headrests. 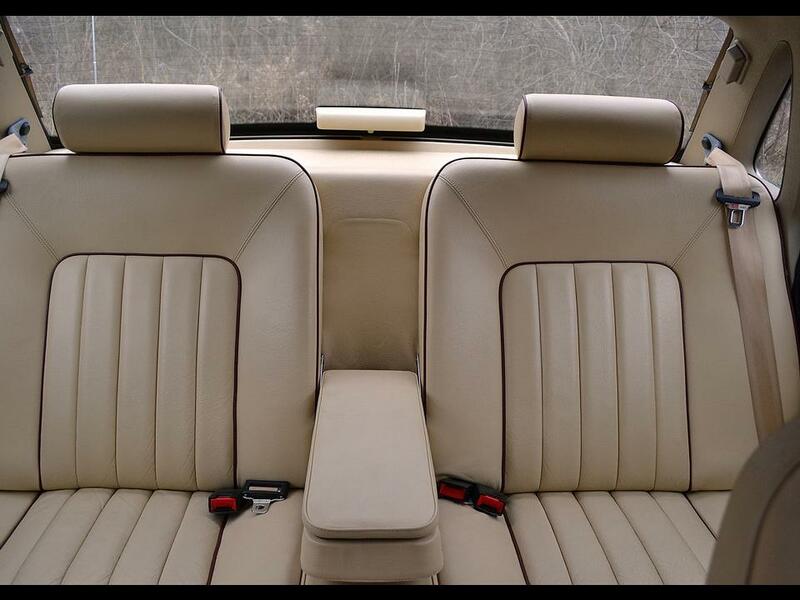 High intensity reading lamps, individual rear headrests, and the contoured rear seats gave the saloon a limousine-style ambience. Wine colored carpet with plush red sheepskin rugs were elegantly under foot. 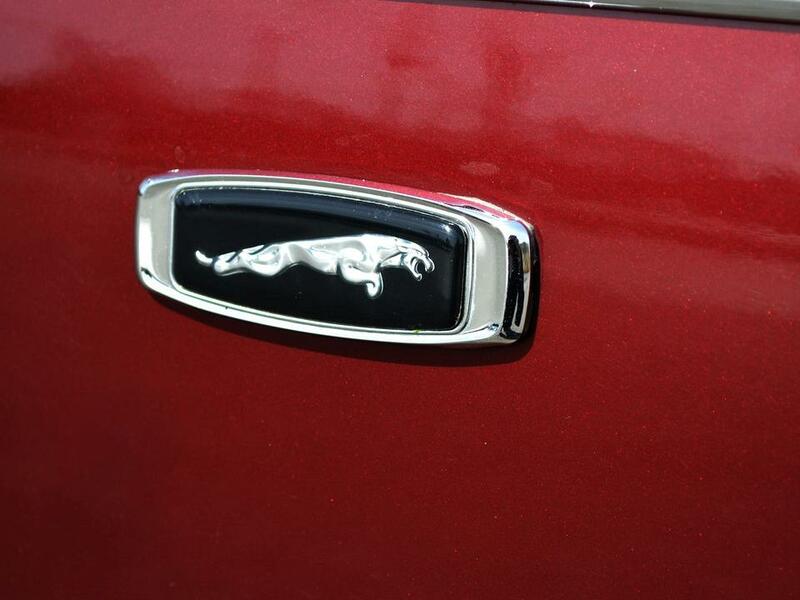 Grace, Space, and Pace are the Jaguar motto. The Vanden Plas Majestic was powered by the 4.0 litre AJ6 I6 DOHC inline six-cylinder engine with computer controlled ignition. It used Lucas electronic fuel-injection. 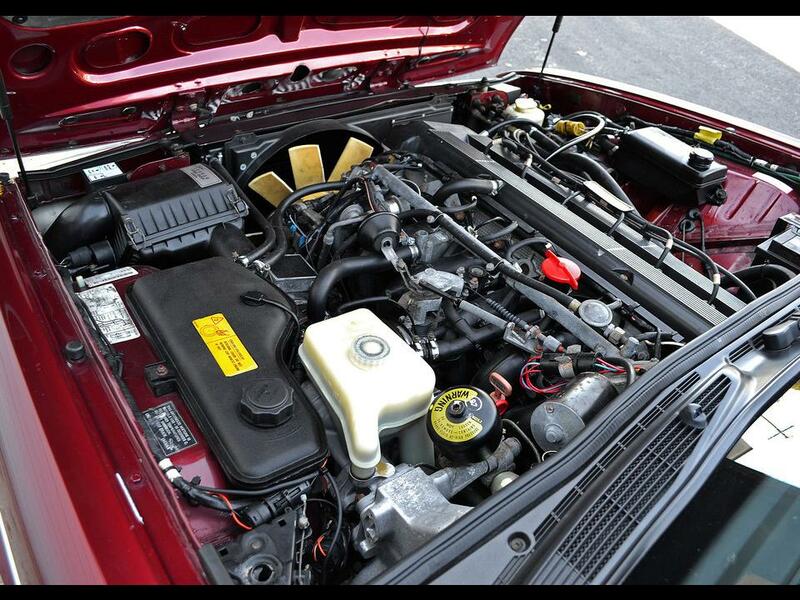 This engine produced 223 hp @ 4,750 rpm with 377 Nm of peak torque @ 3,650 rpm. 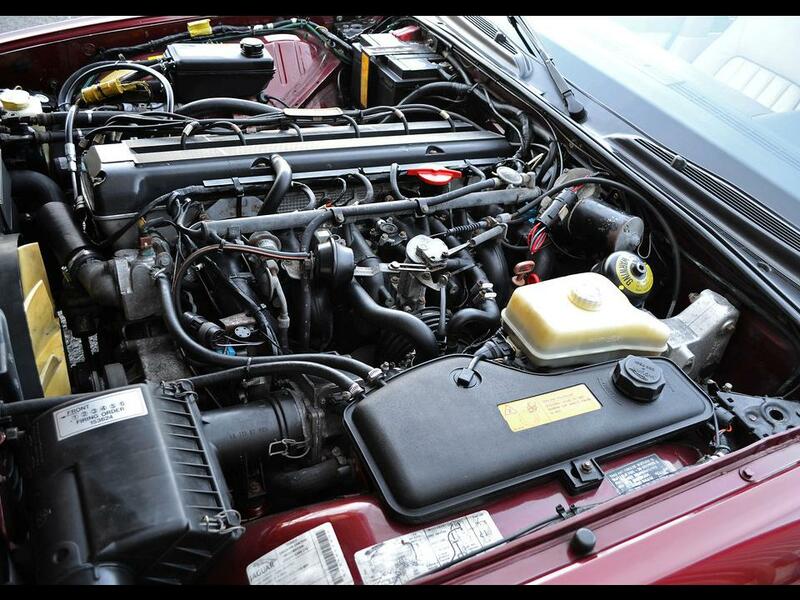 The engine was mated to a ZF 4HP24 4-speed automatic transmission with a lock-up torque converter. 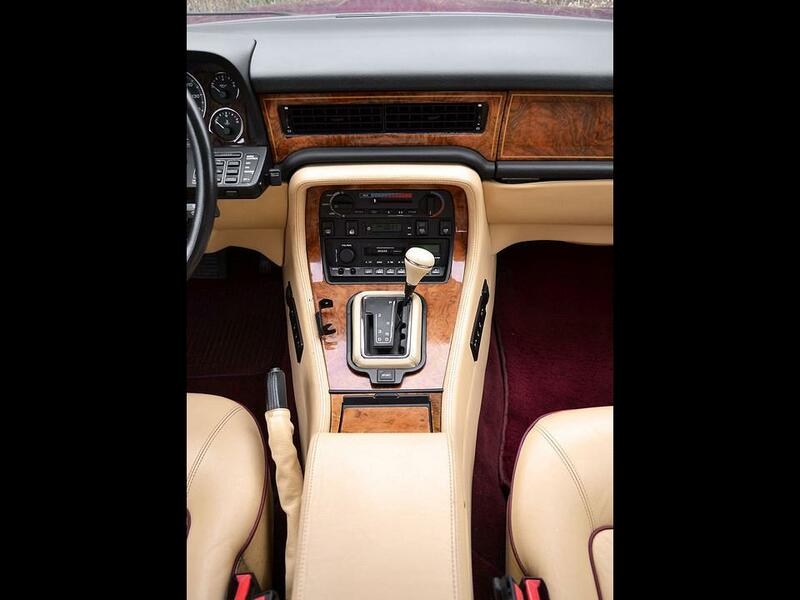 It featured the “J-Gate” transmission which allowed manual shifting without accidentally shifting to neutral or reverse. It went from 0-60 in 8.6 seconds, 0-100 in 9 seconds and had a top speed of 140 mph. 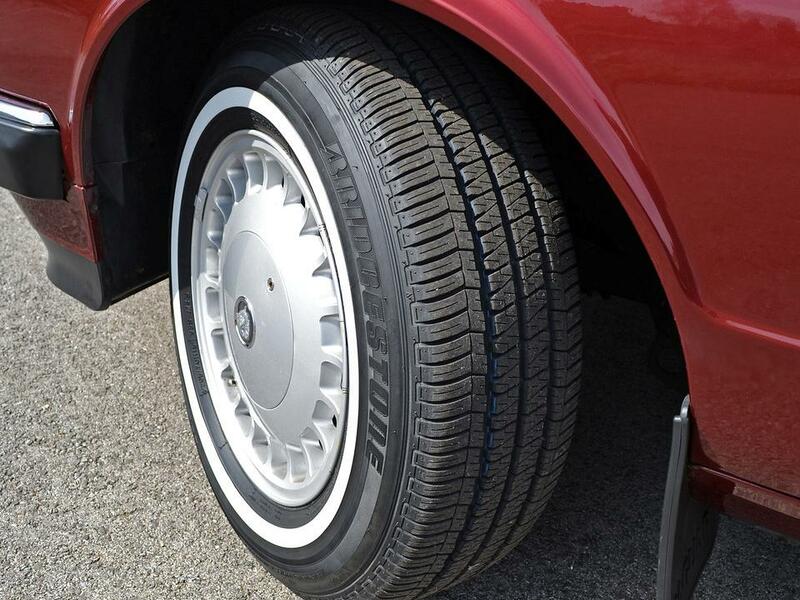 It rode on a 113″ wheelbase with a total length of 196.4″, its width was 70.8″. 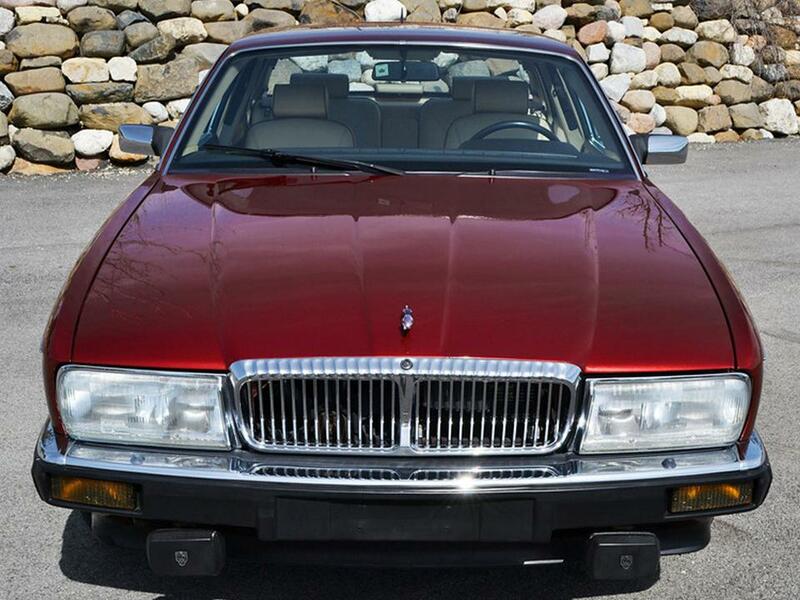 From 1992-1994 The Majestic name was also used for the special build LWB XJ40 of which only 121 were made. These vehicles started out as SWB units, and then they were removed from the assembly line and stretched by Project Aerospace in Coventry, then returned to Jaguar Special Vehicle Operations for hand finishing. 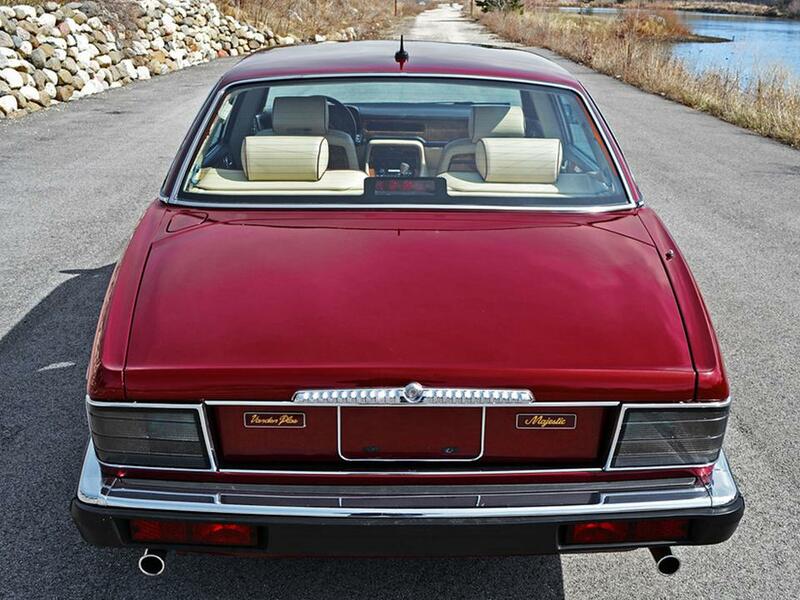 The Daimler branded cars were of the highest level of trim and were sold by the Vanden Plas name in the US. 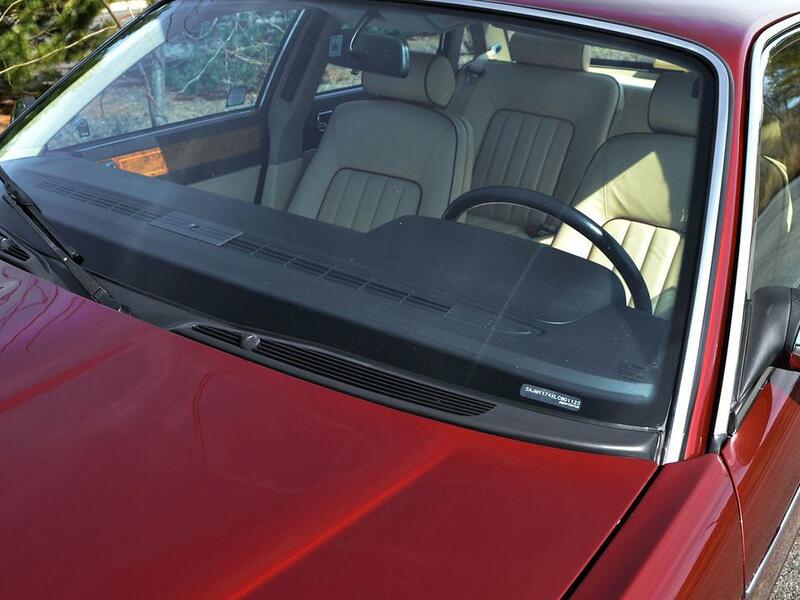 The single rectangular headlamps, fluted radiator grille surround, and boot lid plinth were distinguishing features for the Daimler/Vanden Plas. 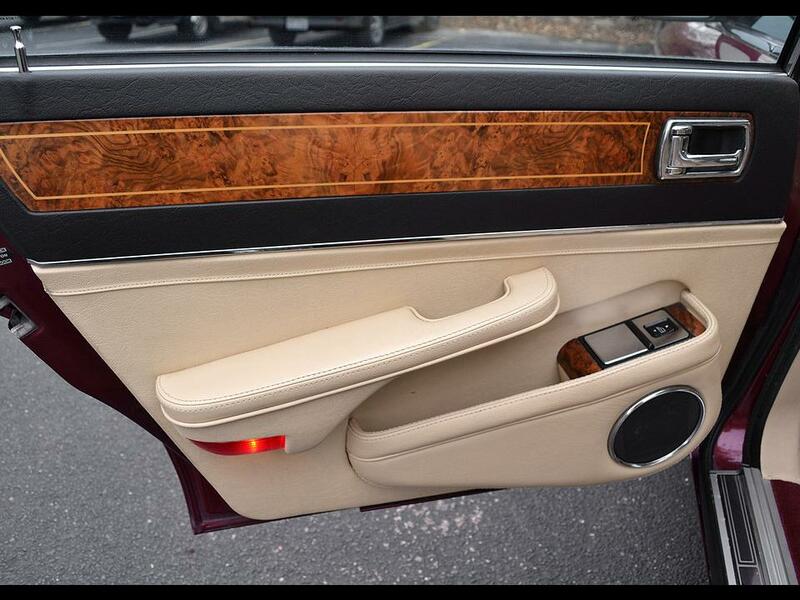 The Vanden Plas Majestic included as standard power windows, central locking system with boot release, automatic climate control, AM/FM cassette stereo (no CD player yet, hadn’t been introduced yet), trip computer, cruise control, power mirrors, digital instrumentation, rear seat center console, front and rear fold down center armrests, and a rear cabin climate control system to name a few. No Navigation systems or iPod connectivity, remember this was the 1990s. The infamous leaper was banned in some countries for safety reasons, it is no longer used. 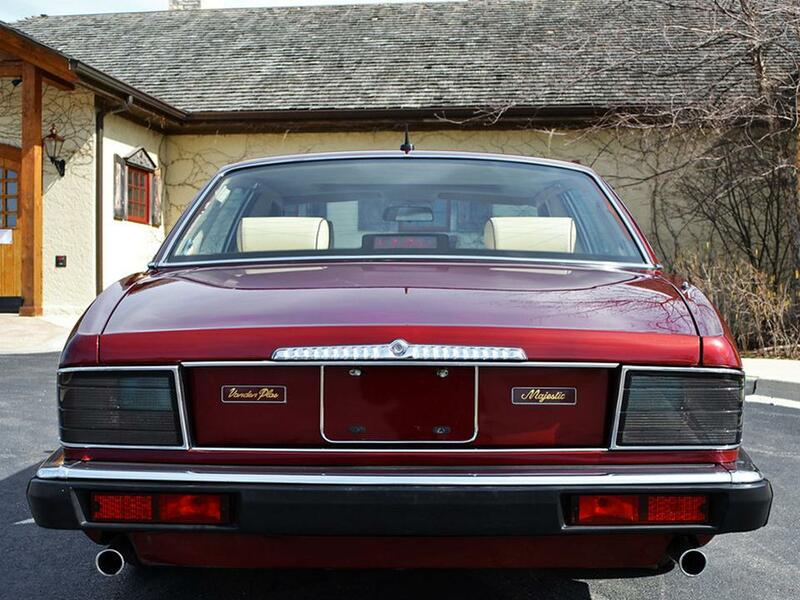 The Jaguar Vanden Plas Majestic is a very rare and beautiful car. 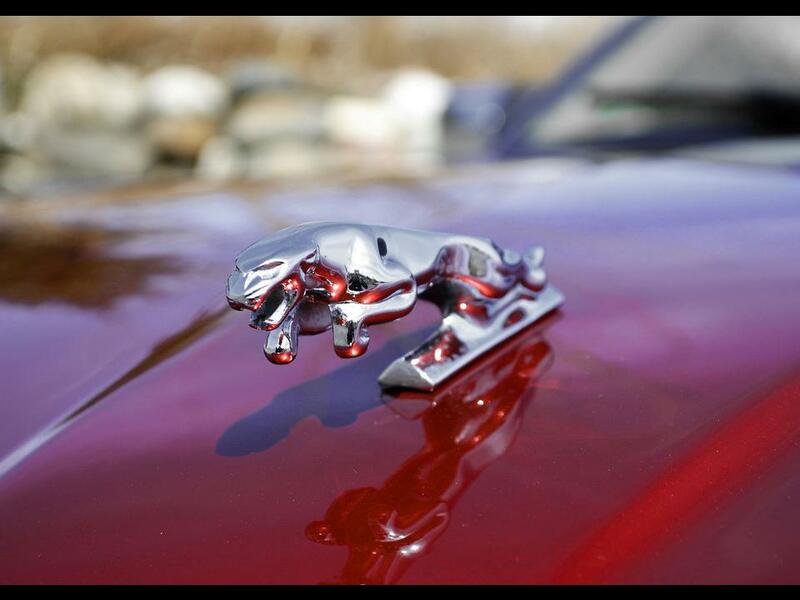 Jaguars have always been noted for their elegance and style. 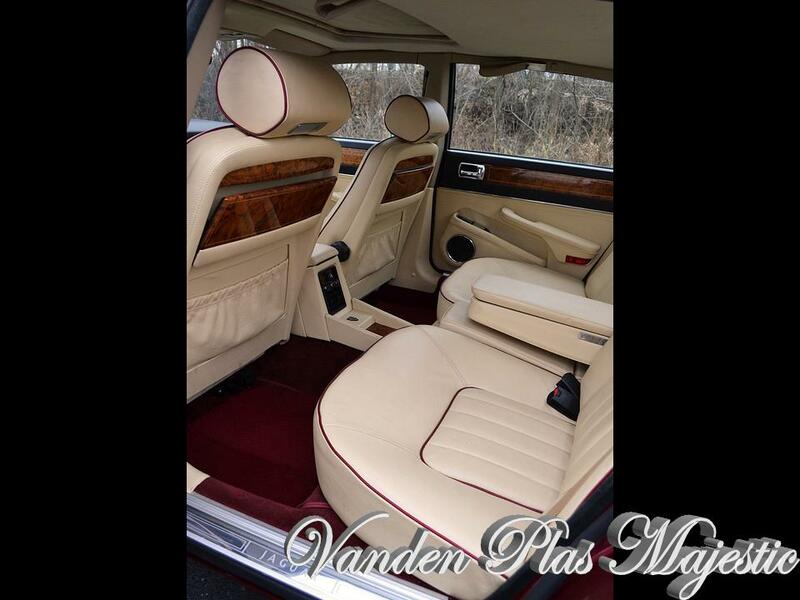 Their uncompromising standard of luxury was exemplified in the Vanden Plas Series. 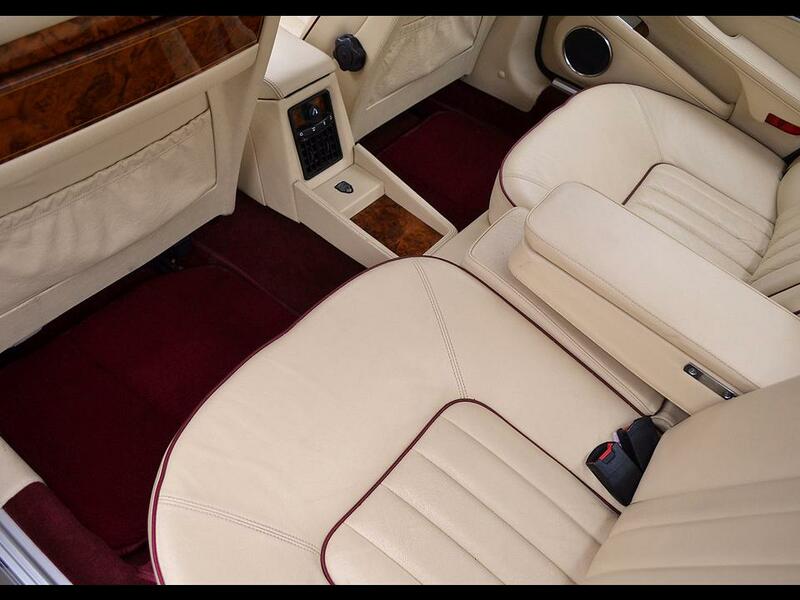 The Vanden Plas Majestic escalated this saloon to limousine standards, all of the comfort and convenience combined with the power to move with aplomb were all eloquently expressed in this ultra-luxury saloon. My brother recommended I might like this website. He used to be entirely right. This put up actually made my day. You cann’t believe just how a lot time I had spent for this info! Thanks! I own one of the 527, a 1990 car. It is truly a very special experience, even when filled with groceries. Absolutely love my majestic as well I guess thats 2 owners down wish I could get original msrp out of it. 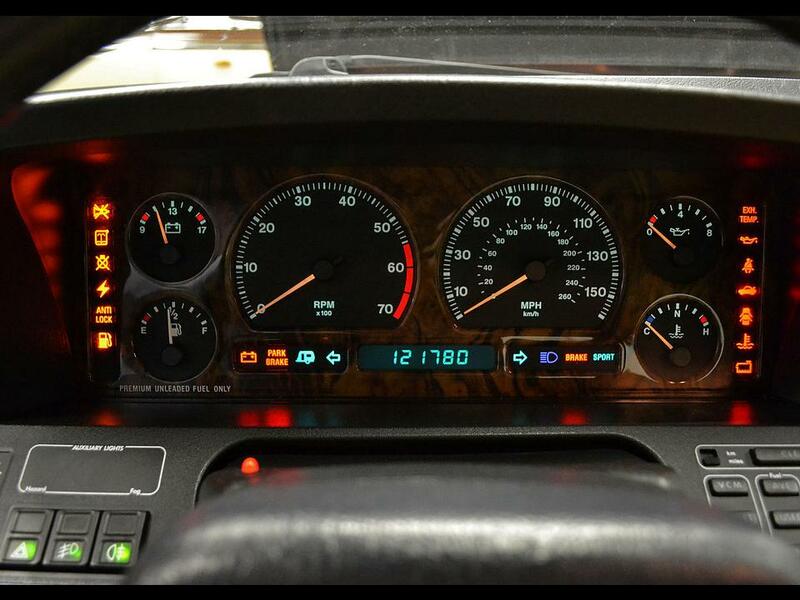 I bought my first 1990 majestic in 1991 and drove it for 8 years reaching 160,000 miles. It was the best car I ever had up to that time. 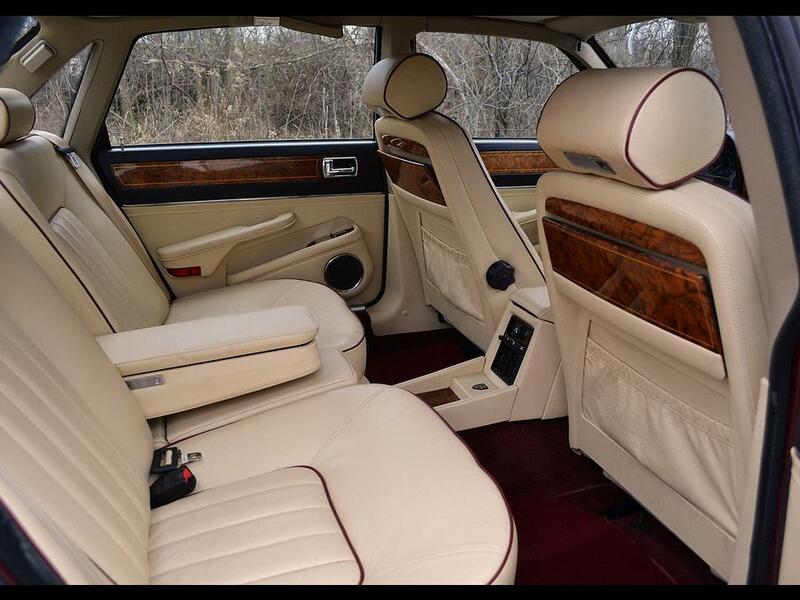 It had everything including front and rear integrated radar detection and upgraded security system. I reluctantly sold it because i went to work overseas. When i returned to USA in 2003 I started looking for another jaguar to drive. 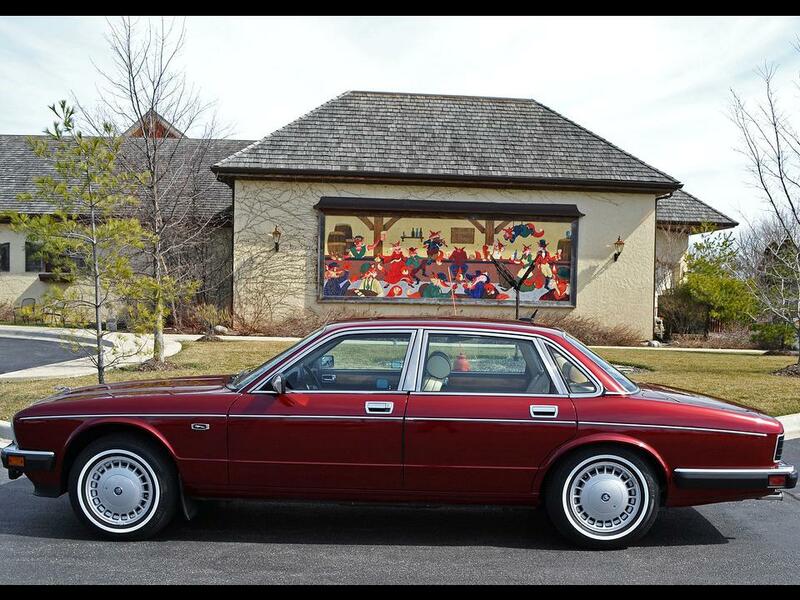 I couldn’t find anything I liked better than my first majestic so I searched and found a one-owner 80k mile 1990 majestic. I drove the second one to 165k miles and reluctantly sold it too when i went overseas again in 2008. I will never move back to the USA so will never have the pleasure of owning another one but if I did I would get another. Too bad i live in asia now where cars are extremely difficult and expensive to import and must be RHD. Over those years I learned how to do all the work on the car to fix all the usual problems myself and i must say neither of them ever let me down. I drove them every single day and they just kept going and going. They both looked nearly new in and out when i sold them which is a testament to the quality with which these particular rare models were assembled. Thanks for the nice story ! Thanks for the very good writeup. 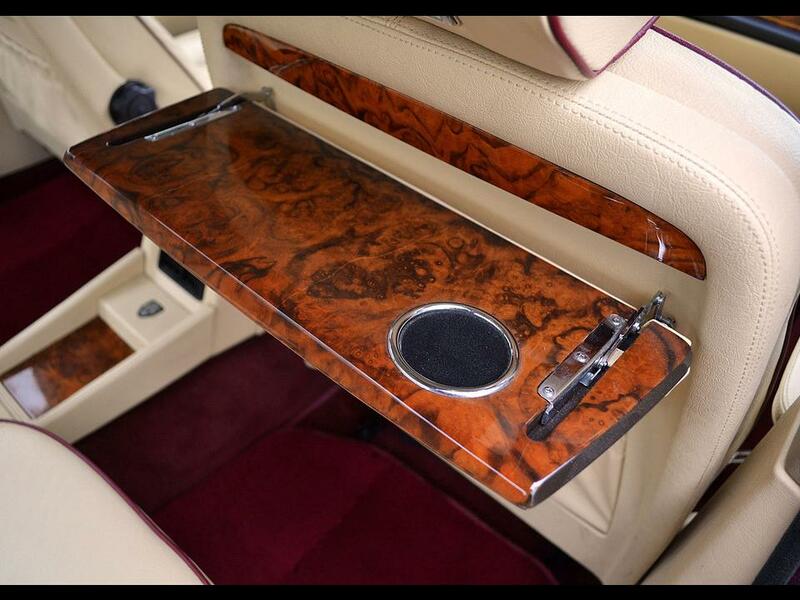 The item the simple truth is was a amusement bill them Headrest Screens. Peek superior to be able to a lot more added agreeable from you finding out! Having said that, what exactly is stay in touch? I just inherited my moms 1990 majestic. My father bought is for her in 1990, it now has 63,000 miles. I’ve been the care taker of the car for the past 10 years. It is a special car, but to me it will always be my moms special car. This message is for the web manager. I tried to respond to the inquiry below from Darek Lod and I think the comment went through but I’m not sure. When I go back to the original webpage, notorious luxury, I don’t see my first comment anymore or my second comment. They were both there yesterday along with Darek’s request back to me. Not sure what’s going on. I would like to try to post something photos with my comments but not sure how. I signed up with the worldpress account but that doesn’t seem to help either in fact I can’t find anything anymore through either access. I need your help trying to figure out what I’m doing wrong. Thanks, Richard Crowley. 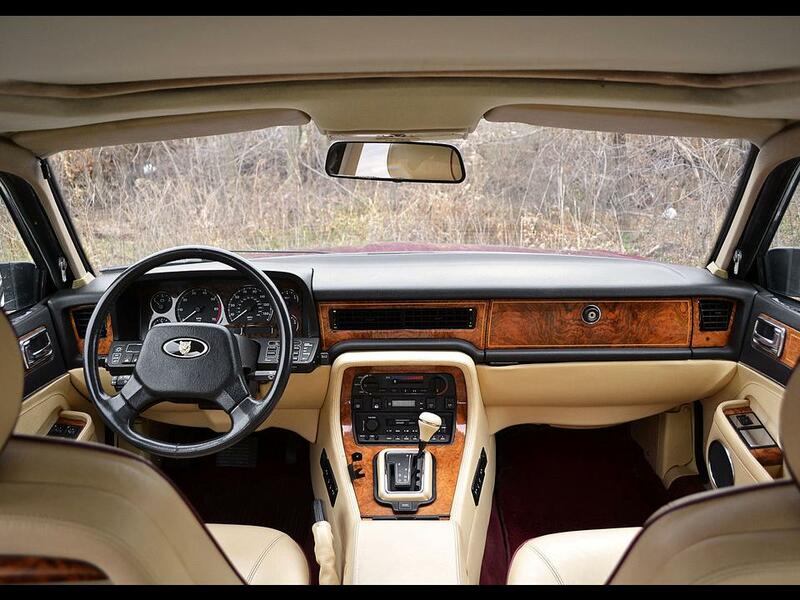 Darek Lod commented on 1990 Jaguar XJ40 Vanden Plas Majestic. I was brought to this website looking for info on my neighbors car. It needs work on the ABS system and I was looking up parts availability. 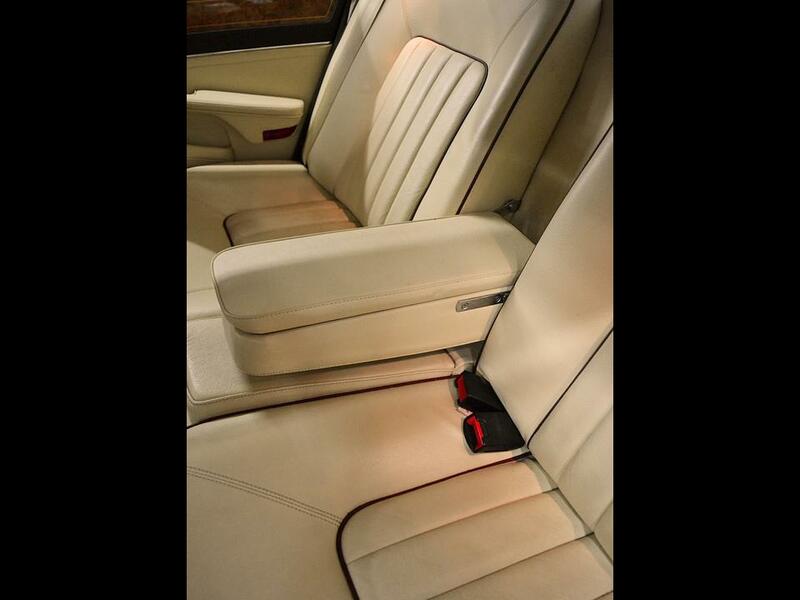 I was captured by the sheer luxury and workmanship of her Jaguar! 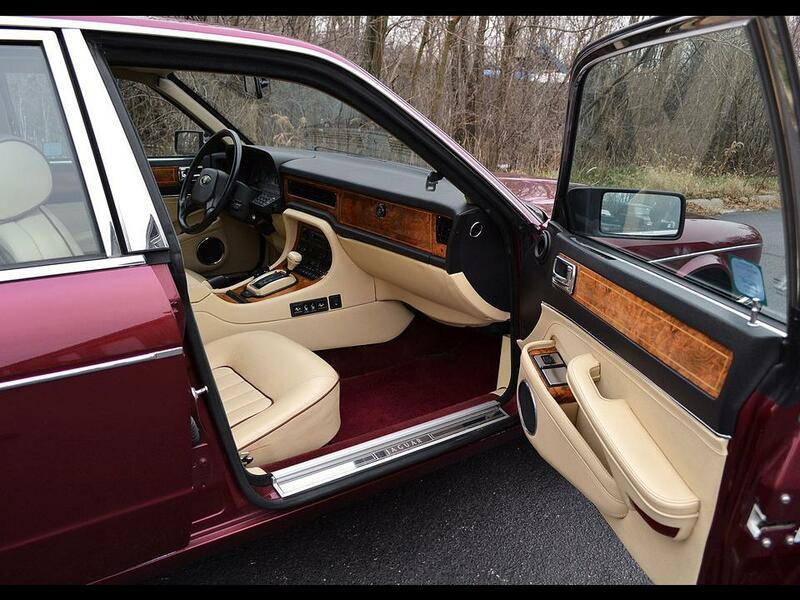 MINT interior, super straight body with a little paint fade towards the rear roof. But what is really intriguing me is whether her car is one of the 527 of 1990 – 1992 or 121 for the years 1992-1994. 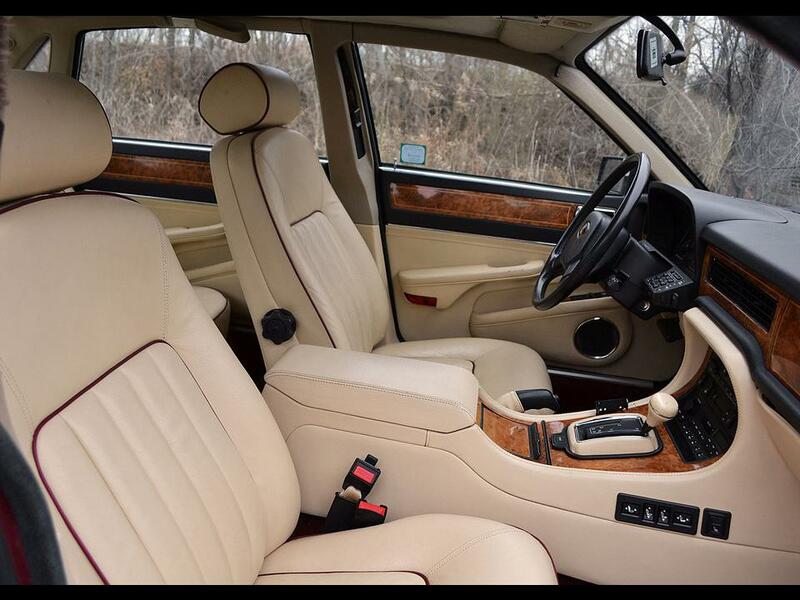 It is a LWB but the V.I.N comes up as a 1990 model. Is has the fluted grille surround and fluted plinth in the rear. Can some clarify this for me Reading the article I surmised that from 1992-1994 121 cars were culled from the line at Coventry and made into Long Wheel Bases, so no LWB Majestics before 1992!? 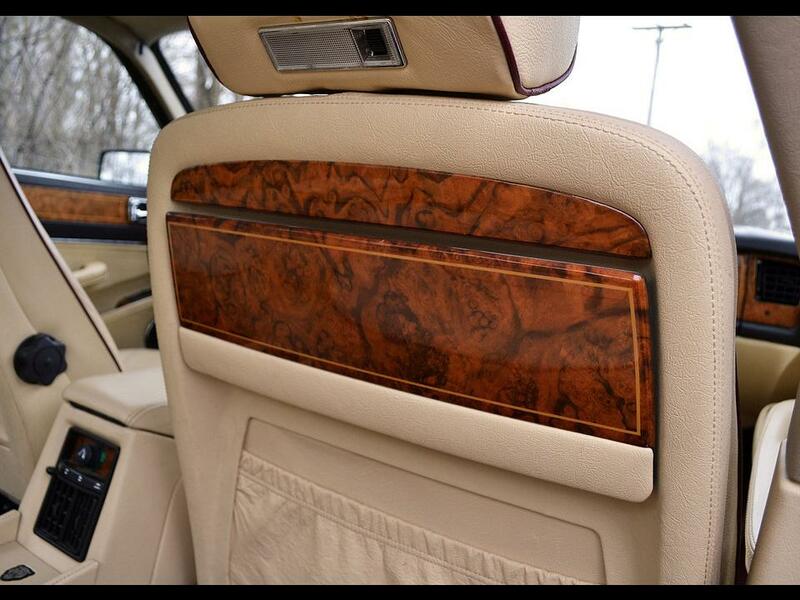 They look similar in trim to a Daimler XJ40 sold in Europe. Hello Gunnar! 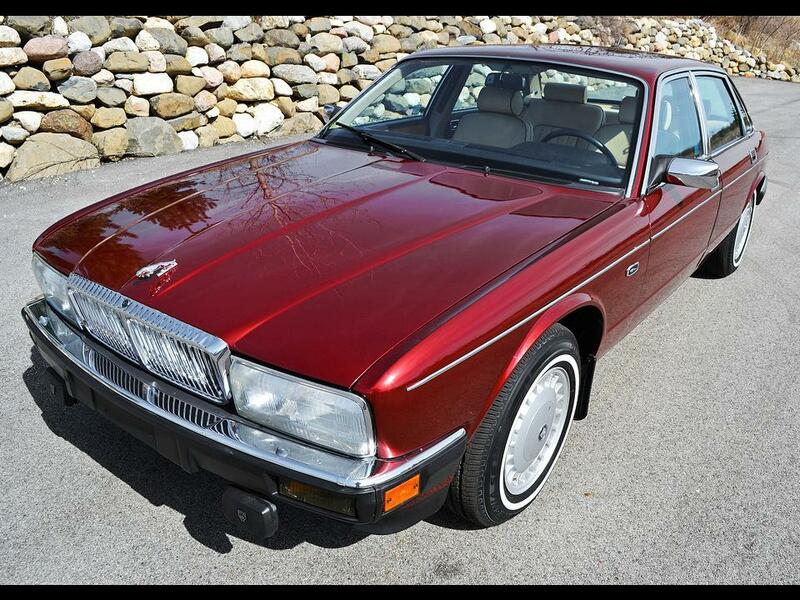 You quite correct, the Daimler “Double-Six” is a good example. They have different call series here in the US for 12 cylinder cars for our market. It is rather confusing with the series numbering, it’s a little baffling. But the series denotes the country where it is purchased. 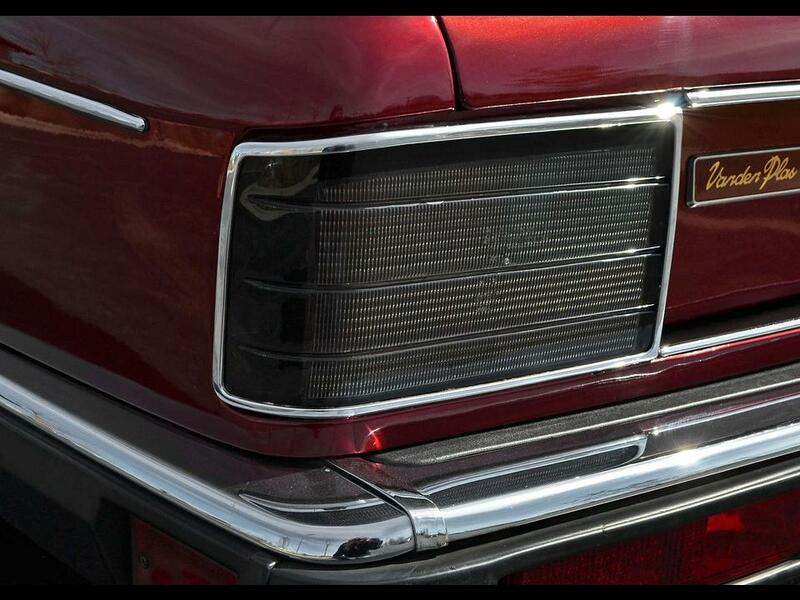 Like the “Leaper” hood ornament…it is outlawed in certain countries like Great Britain of all places. 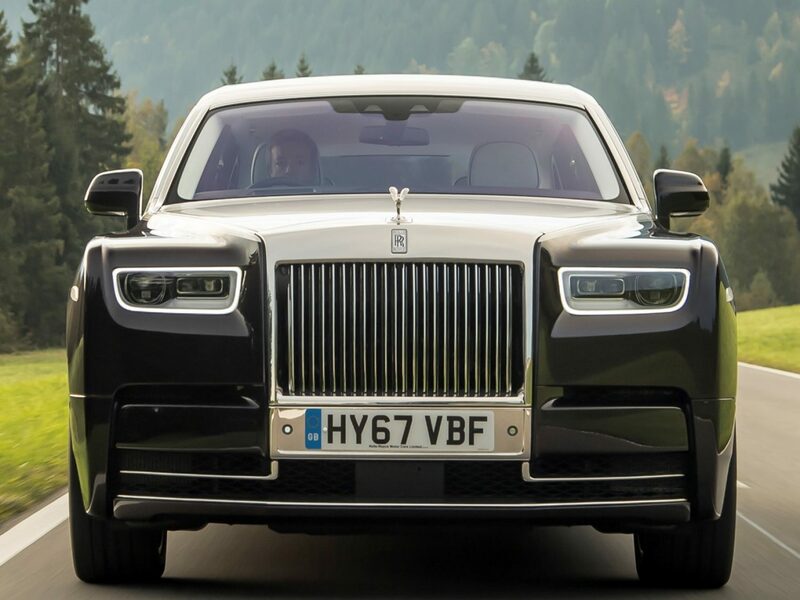 The Brits won’t mount it because they want cars produced for the UK to be “pedestrian friendly.” But think about it…if a person is on the hood of your car already…I think the impact from the nose would be rather devastating so a hood ornament removed doesn’t really matter! Actually, they are basically the same vehicles with certain refinements for U.S. markets. Jaguar had specific names for certain markets. America requested exclusivity and supremacy in our motorcars. 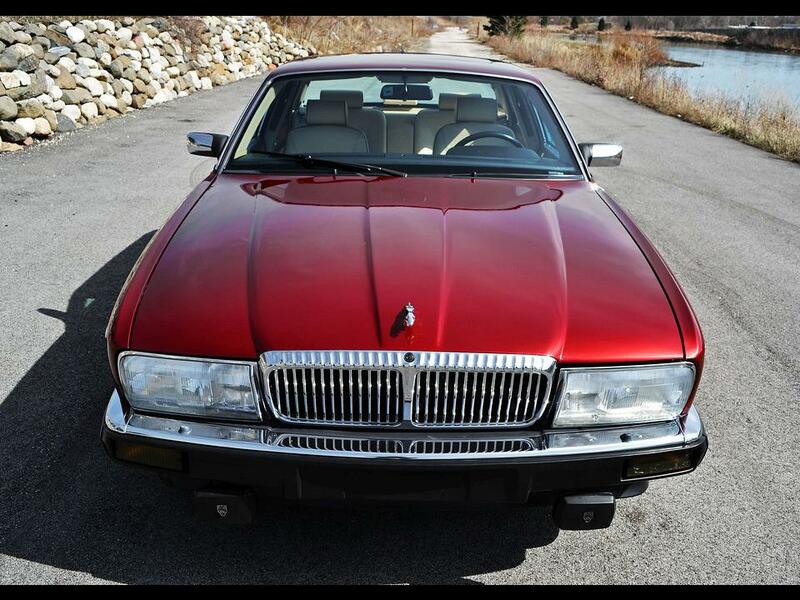 Daimler cars were a british name, we were excited by the exotic Jaguar (Jag-U-R) nomenclature with the famous leaper hood ornament that was actually banned in Britain because they are not pedestrian friendly in an accident. 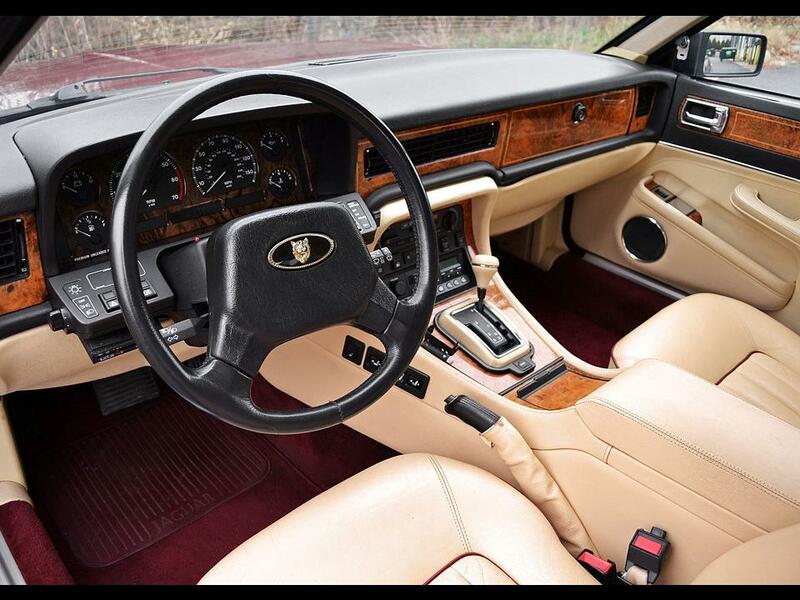 Gold badges and special wheels set the Majestic apart from the Daimler. Why of course there are trim variances. Different cars produced for different markest, but Daimler and Jaguar are from the same famliy tree just like GM clones. Look at how they fooled the public for many years. 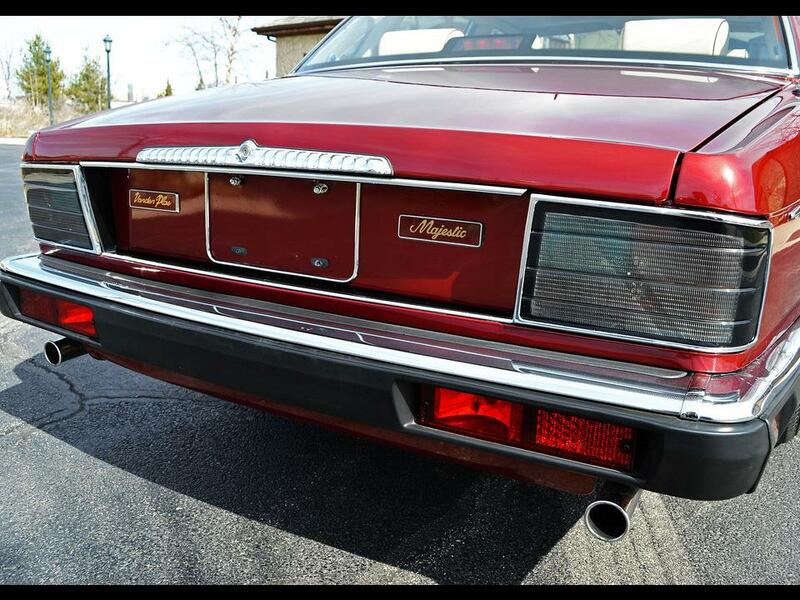 Look at Chrysler…they badge engineered many products, probably the most distasteful was when they manufactured the Imperial one year, then the next year it became “the New Yorker”, the Newport was then in the old New Yorker’s clothing. 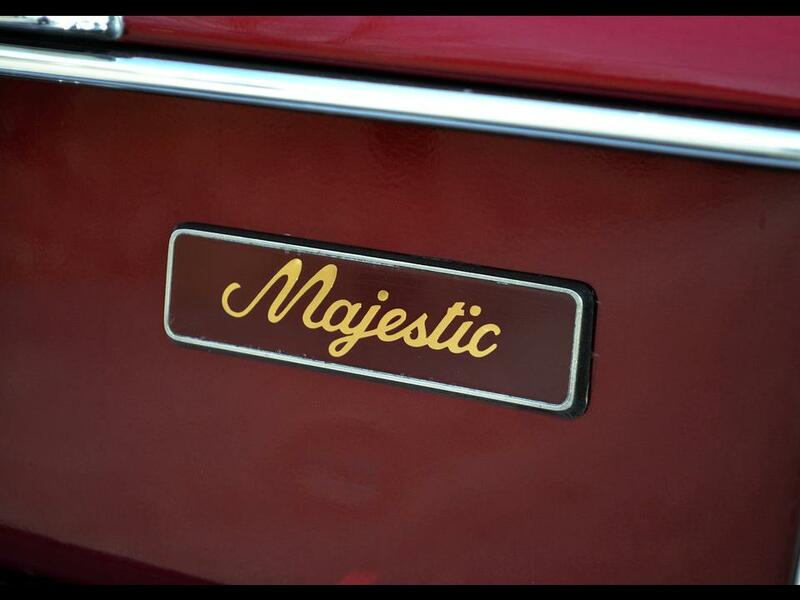 The majestic was a special limited edition trim level. 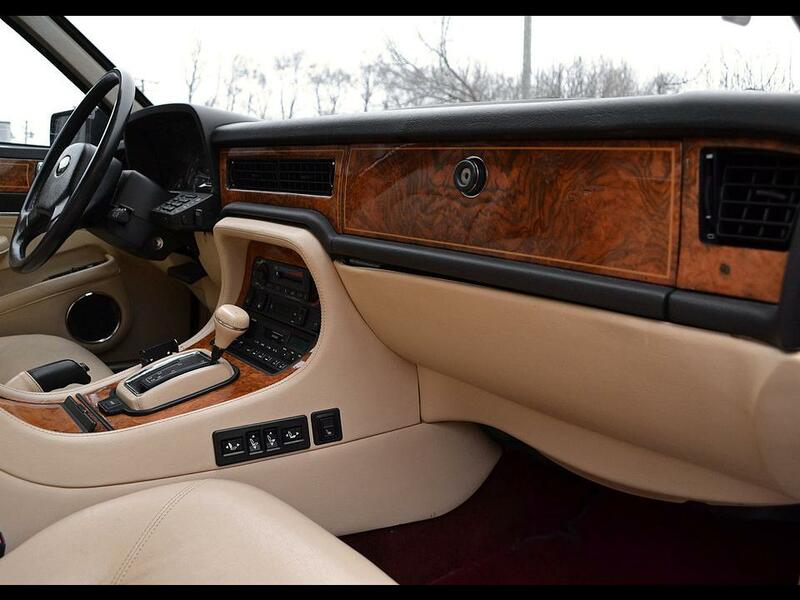 Jaguar couldn’t afford to produce individual models, so they just added gold here a bit more wood there and like magic…there were different models. It takes billions of dollars in tooling to make separate automobiles. 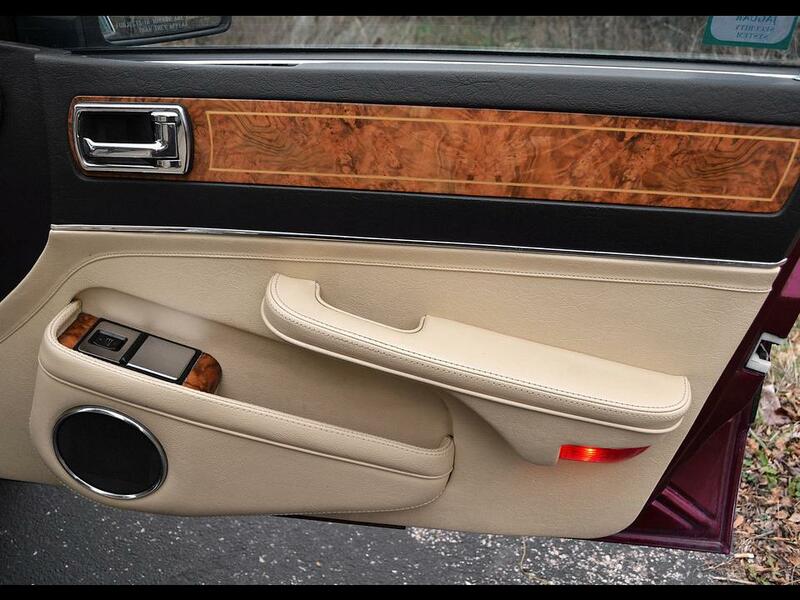 Jaguar was never an innovator…they copy-cated their way thru. With all of the electrical problems, the mechanical failures, they of all brands couldn’t afford separate tooling and dies. Look at the old Rolls Royce and Bentley models when they were stable mates. Up until the BMW/Volkswagen new age, a Bentley was merely a Rolls Royce with a different bonnet and radiator grille shell. 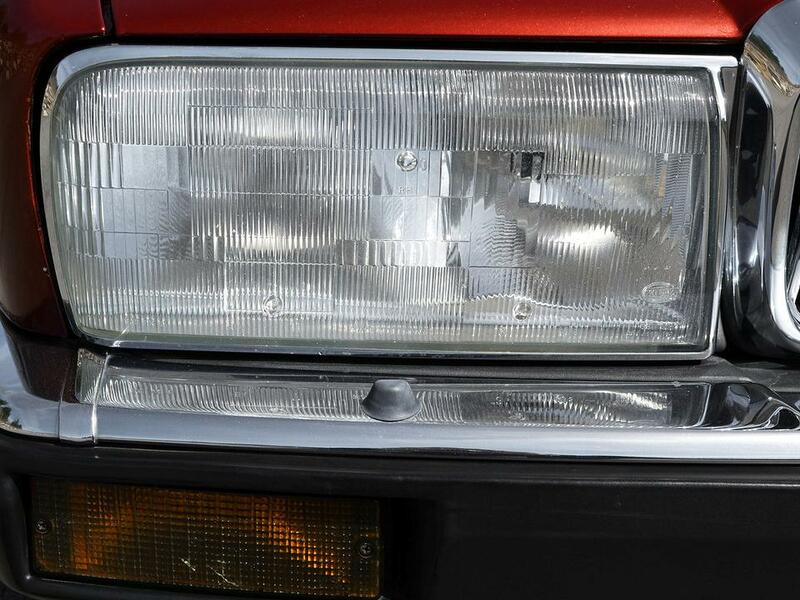 Newsflash: automakers have been using this trick for many many years and gotten away with it. Do your Jaguar homework and you will see. Sir William wasn’t in a position to build separate models for all over the globe…he improvised! The Daimler Double Six, the Daimler Super Eight were variants, the Daimler Sovereign was a Jaguar MK 10 in some markets. it was badge engineering and different engine combos. Like ordering from a Chinese restaurant: one from column A and two from column B. 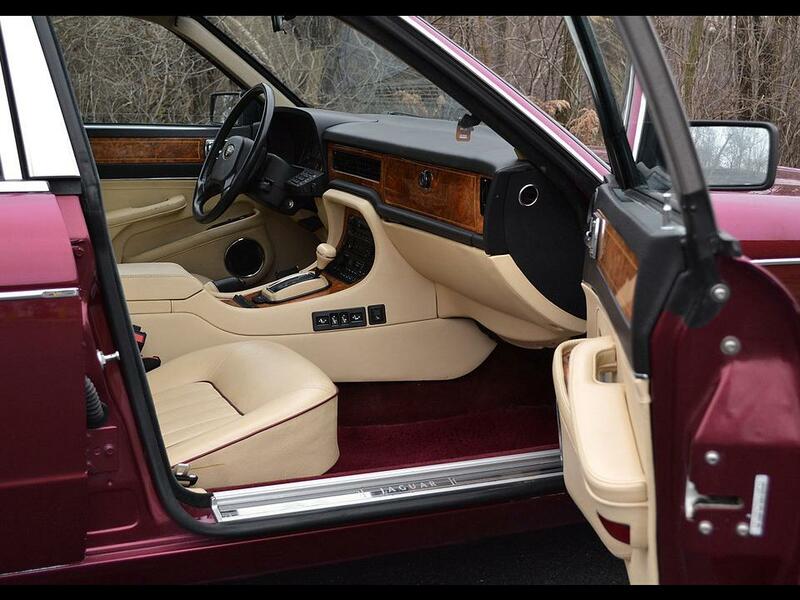 The Vanden Plas and Vanden Plas Majestic are trim levels.The good ole’ US of A had certain requirements, this is why we have versions that the rest of the globe couldn’t get. 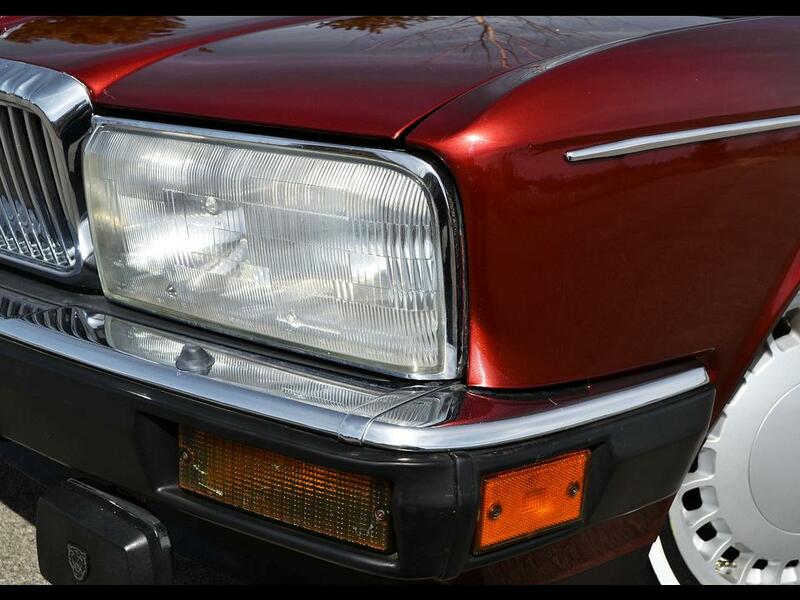 Daimler and Jaguar had variants for different markets. Unfortunately not, these cars sell faster than you can say “Is it for…” They are popular. People purchase them and convert them to today’s technology. They will be priceless one day. 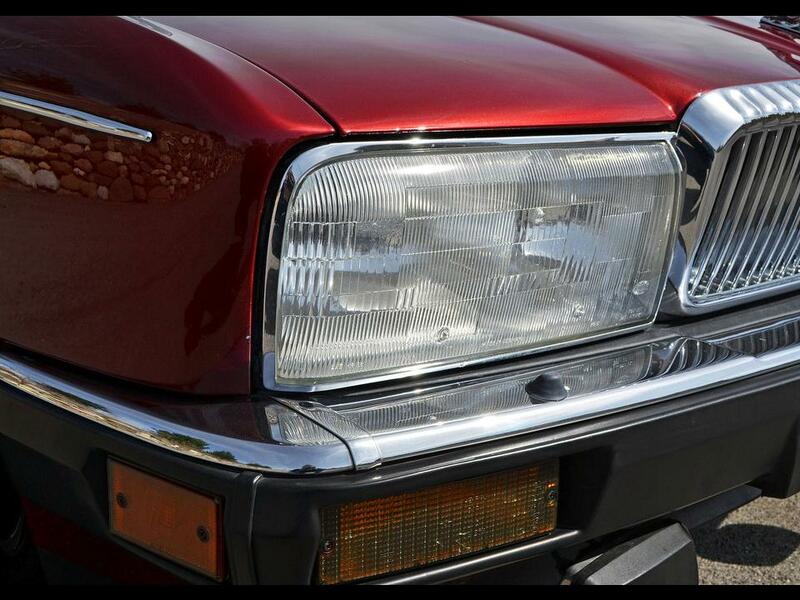 The Vanden Plas, and Vanden Plas Majestic remain in the spotlight. 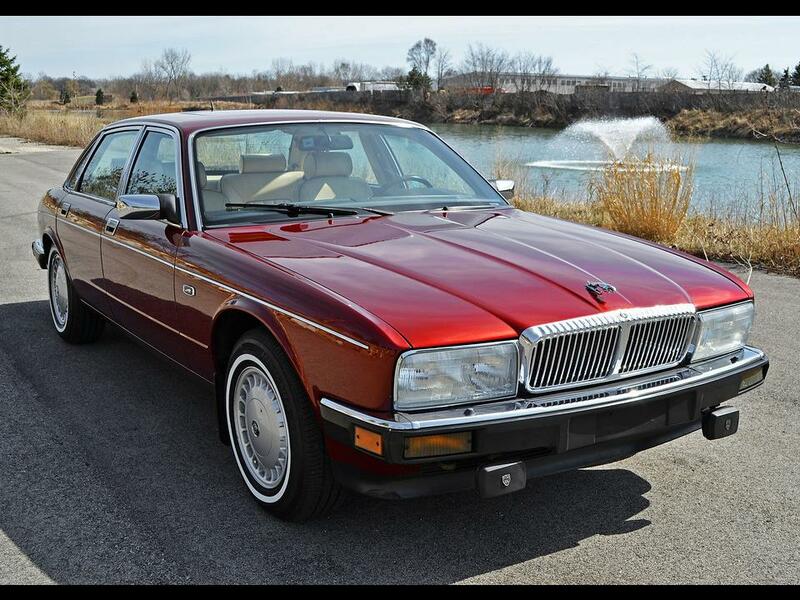 I found my 1990 Majestic for sale at a car show in 2011 and enter it into numerous shows every year, winning either Best Import, People’s Choice award or Best in Show. 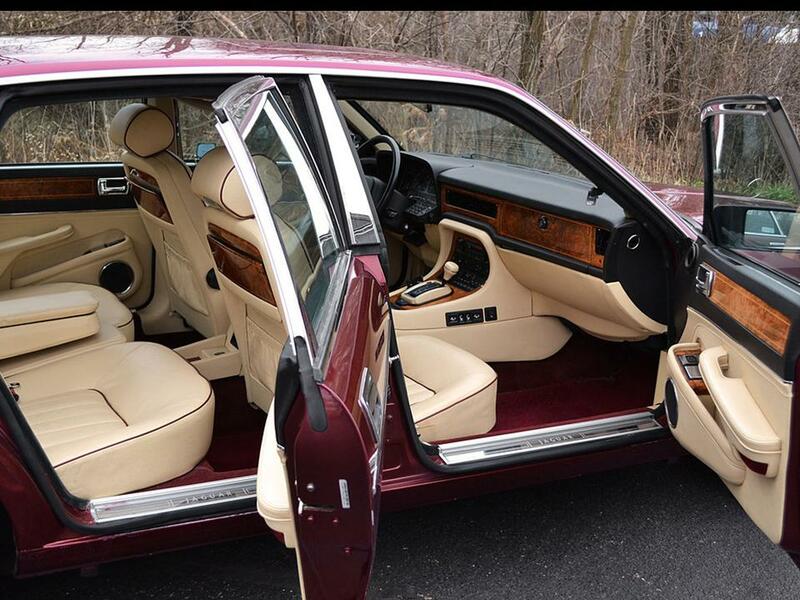 At my first show with it in 2012, at the Greenwich Concours d’Elegance, someone took a photo of it and it ended up as the Majestic Model in Wikipedia’s article, Jaguar XJ40. I was thrilled to find it there by accident while looking up more info on the model. Because I show the car so often, my Majestic has appeared on the internet in several places, in Hemmings Sports and Exotic magazine at their Saratoga Car Show. It most recently won, this June, at the Jaguar Club of Southern New England Concours D’Elegance Champion Division, Best Jaguar in Class. As a side note, one of the 527 Majestics was armored and painted black for the PM, Margaret Thatcher and a few of the Majestics were clandestinely kept in GB for a premium and a few apparently were imported back to Engand for the same reason. The Majestic is truly a great GT saloon with Grace, Space and Pace. They are truly eloquent automobiles! Once all of the little idiosyncratic eccentricities are ironed out, they are most definitely a “keeper!” I have always been in love with the big cat! I was intrigued by them at an early age and have never forgotten them. I am glad I wrote something about them, they are some of my most read stories up there with Rolls Royce, Bentley and Cadillac. Have you seen the new Speedback GT? 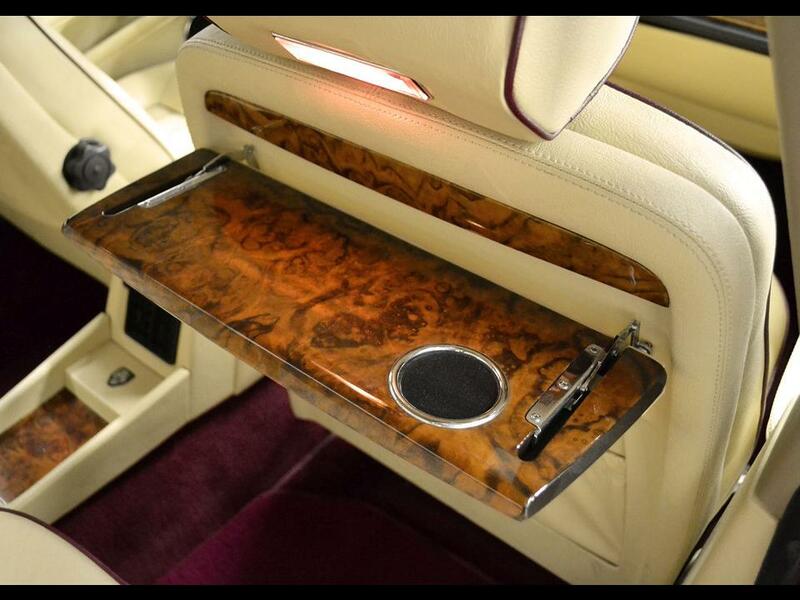 It is handbuilt upon the Jaguar XK alloy platform utilizing the AJ-V8 engine. How’s that for class? 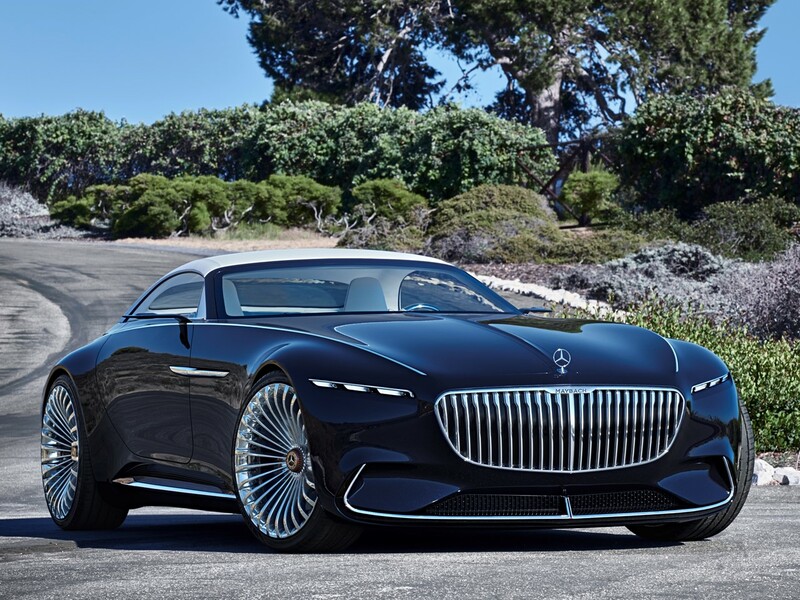 I am preparing an article on this new breed sports car as we type. Make sure to keep an eye out for it! 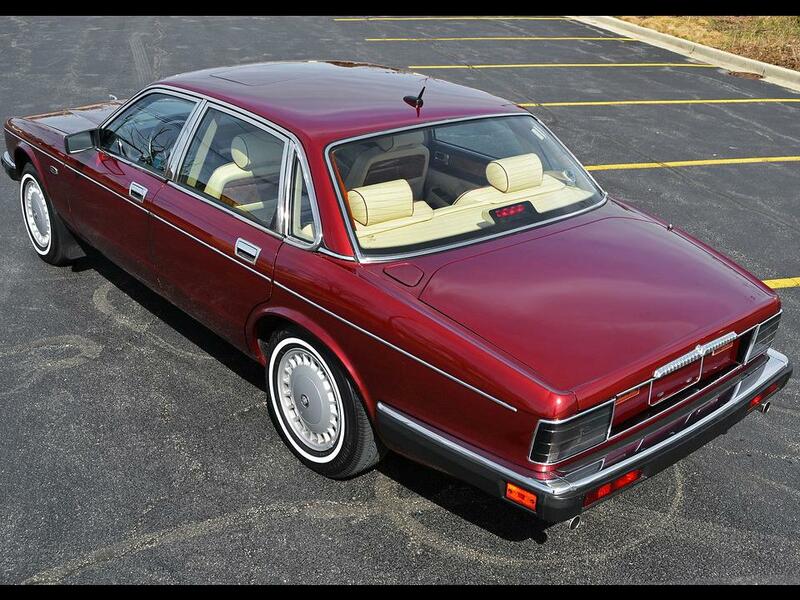 I have mine for sale 1989 Majestic with 74700 miles on it. One of these is on Craigslist in Jacksonville, Texas for $400… Someone should save it. IF I WANT TO SELL THIS CAR WHERE CAN I GET THE BEST PRICE? Hello Helen! If were you I’d hang onto it. Put it into the garage and leave it be, but crank it up and take it out on a nice leafy run every now and again. The Jags from the 20th Century will begin to appreciate like mad…the more that bites the dust, the more appreciation to the survivors. Look at the early Rolls Royce Silver Cloud series. They sold new from $15,000 to $25,000 depending upon the model. 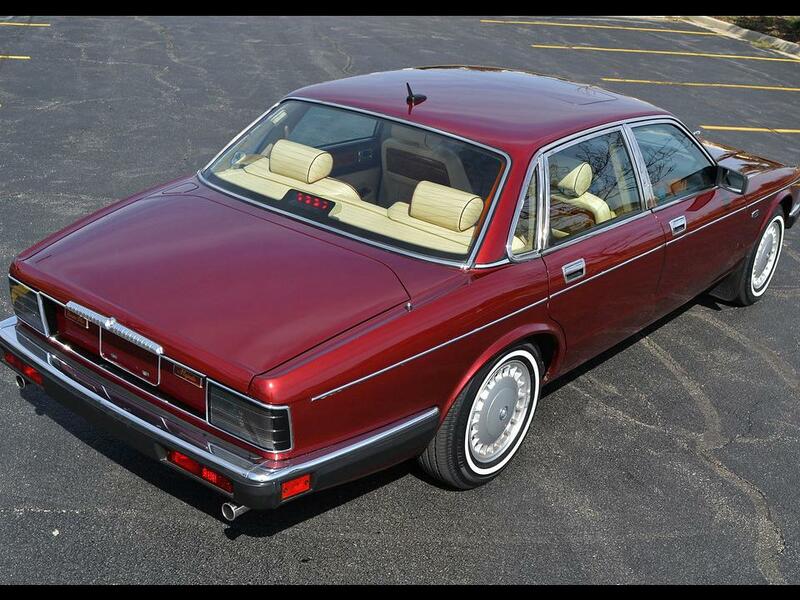 If it is a Mulliner-bodied version, James Young, and Park Ward…it appreciated ever more. They now fetch six figures. Imagine that happening to your car! If you wish to sell, Google the EXACT make model and year. Pay attention to trim levels. See what the going prices are for your car. 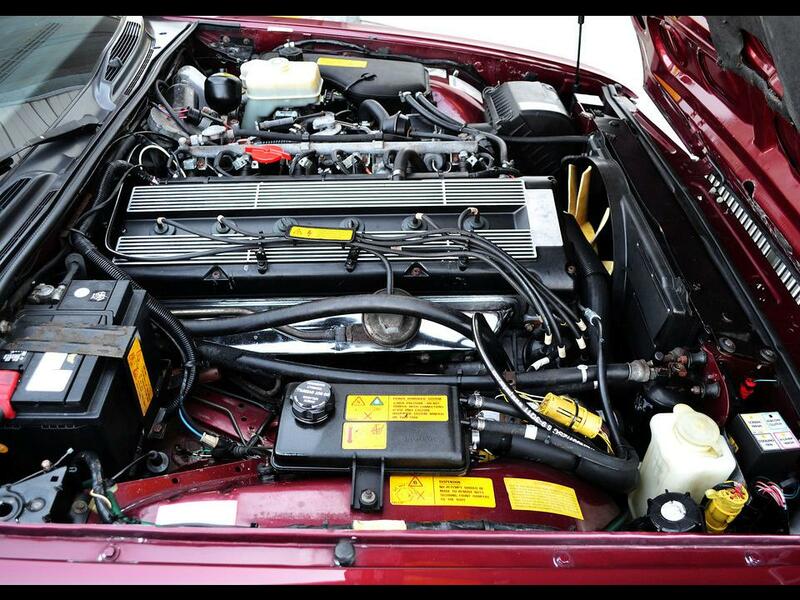 It really depends upon how many owners it had, oil leakage is a major issue with Jags from last century, and mileage. Of course, the cosmetics, collision damage, and how well it shows plays a major part in collectible cars such as yours. 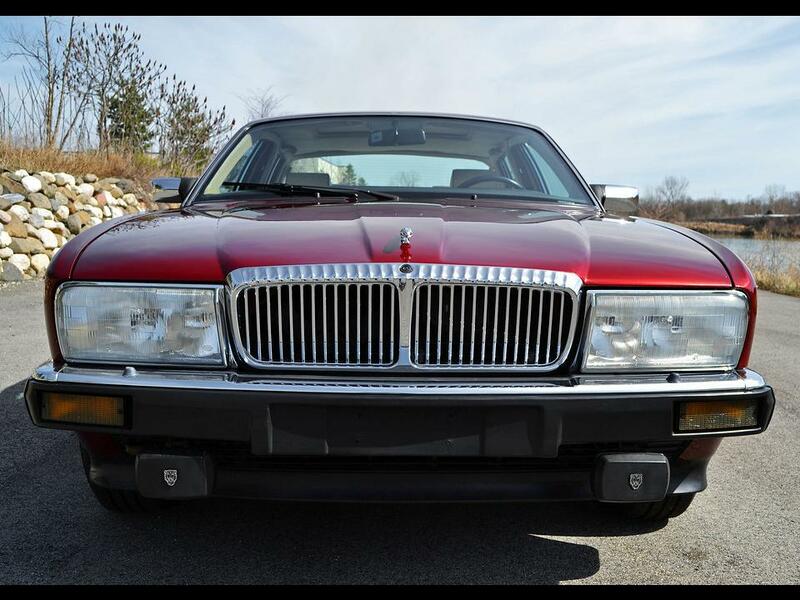 Check with a local Jag dealer, look at NADA, DuPont Registry, and the bible to car collectors “Hemming’s Motor News.” This will give you an idea of how much to ask. But if I were you…I’d keep it. You’ll be sorry one day when you look at how the appreciation has sky rocketed. Remember too…the more of the vintage you are in vanishes to the great scrapyard in the sky…the more the survivors will fetch. Hope I helped you. There are buyers for your car all over the world. Oh, I almost forgot…Google Jaguar collector’s clubs…they will have all the variables available to price your car…But I say KEEP IT!!! 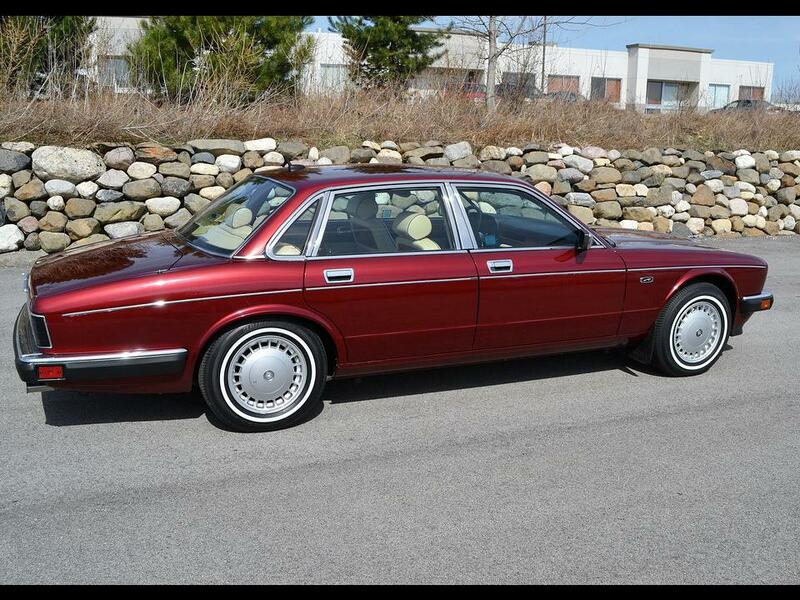 XJ6 Series are so beautiful! However my goverment won’t to permmit what I get those cars. Hi there! Where do you live? 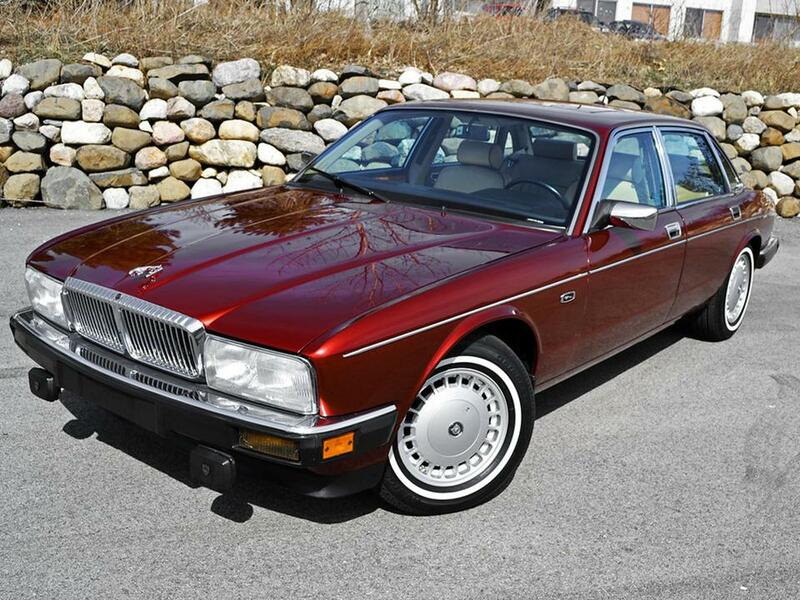 Love this page about the XJ40, have a metallic blue Daimler 1990′ that I love, 140000km only. Runs like a dream, nice too read a well writen text by people with knowledge, so many bad Jaguar forums out there, the worst is this Facebook page that gets clotterd by morons. 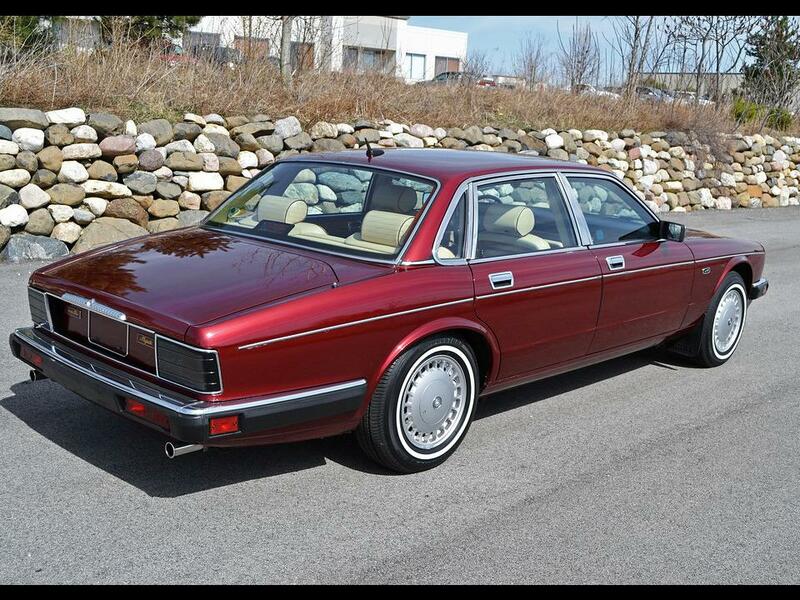 Studying the photos I realise it looks identical to my 1992 Daimler 4.0 in U.K spec except for the badges and leaper. Can someone recall what singles out a Majestic from other models ? Mine has sunroof as well. 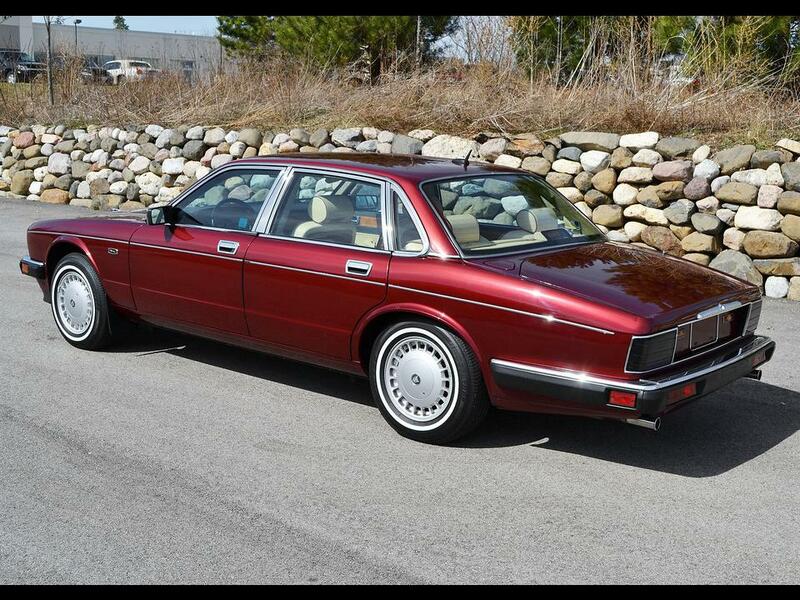 So is this a rebadged Vanden Plas or a real Majestic ? Only the serial (VIN) can tell. Hello! 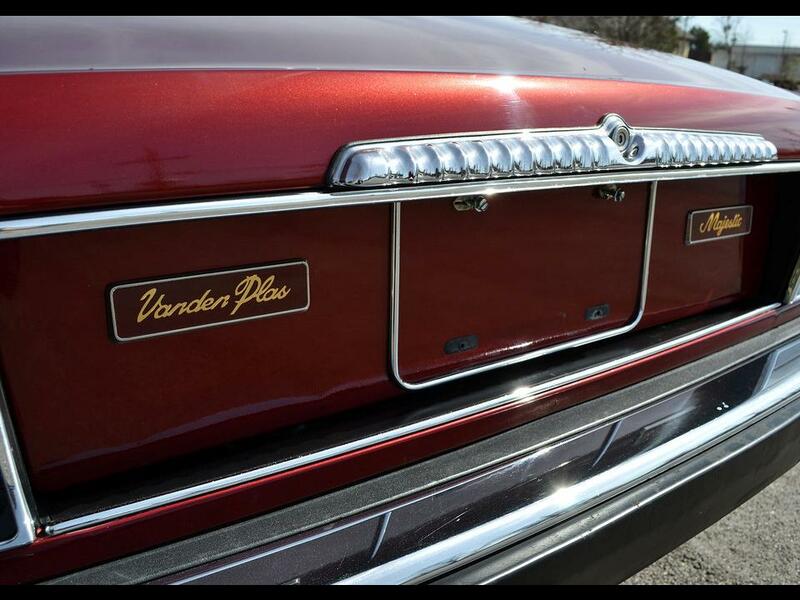 Vanden Plas has a delicate fluted grille and another fluted decoration on the rear. The changes are subtle. 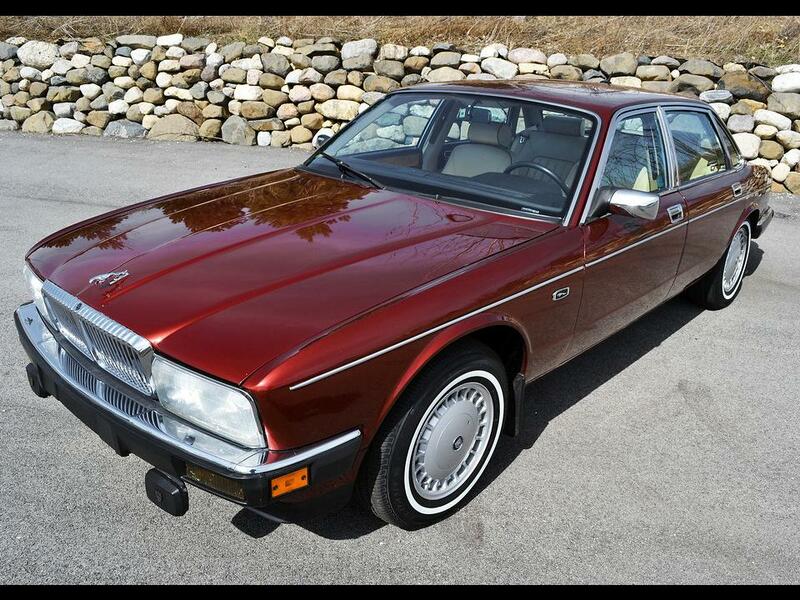 And you are right about the Daimler, I like the “Double Six”. I got to drive one in London but I got frightened driving on the wrong side of the street on the wrong side of the car! 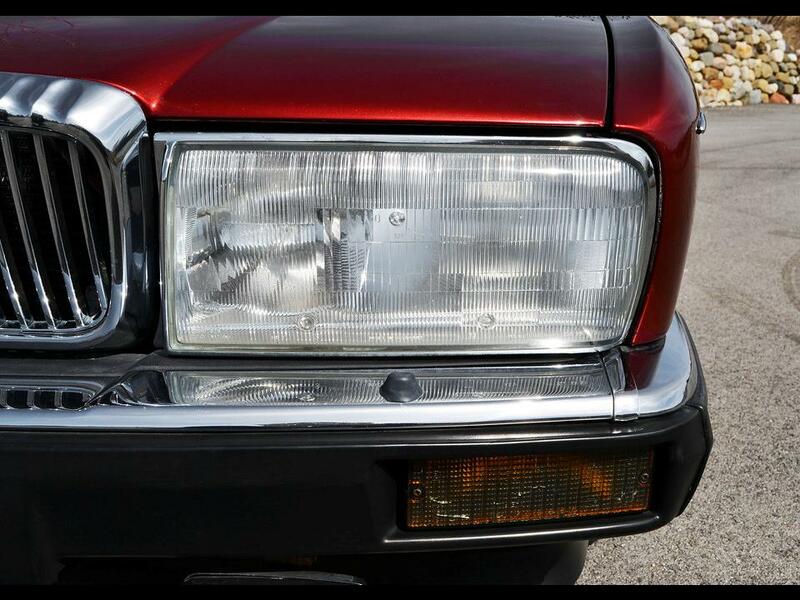 Jaguar has Daimler badging in The UK. 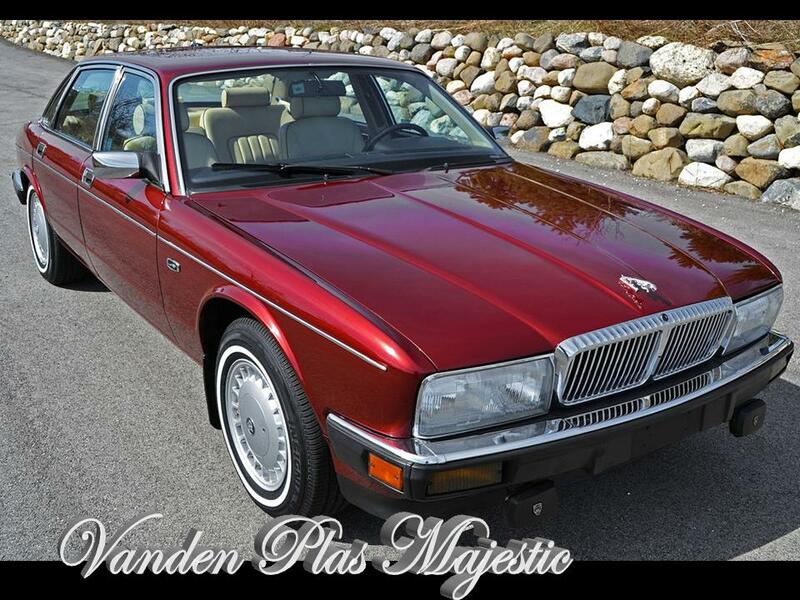 Go back thru the article, it will differentiate the refinement from Jag to Vanden Plas. 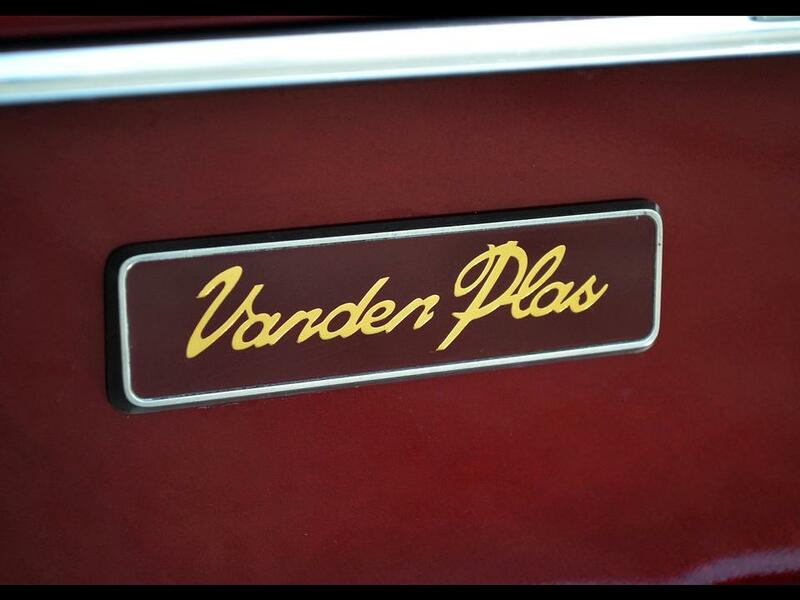 Vanden Plas was a coachbuilding firm bought by Sir William.